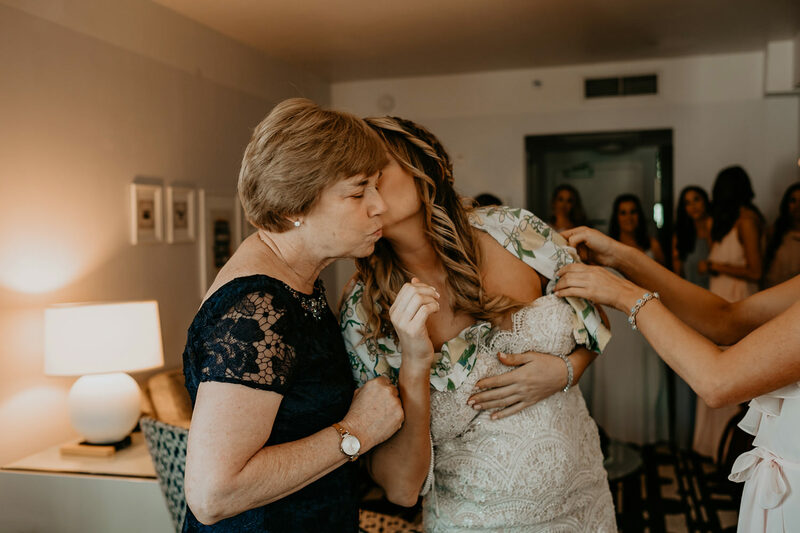 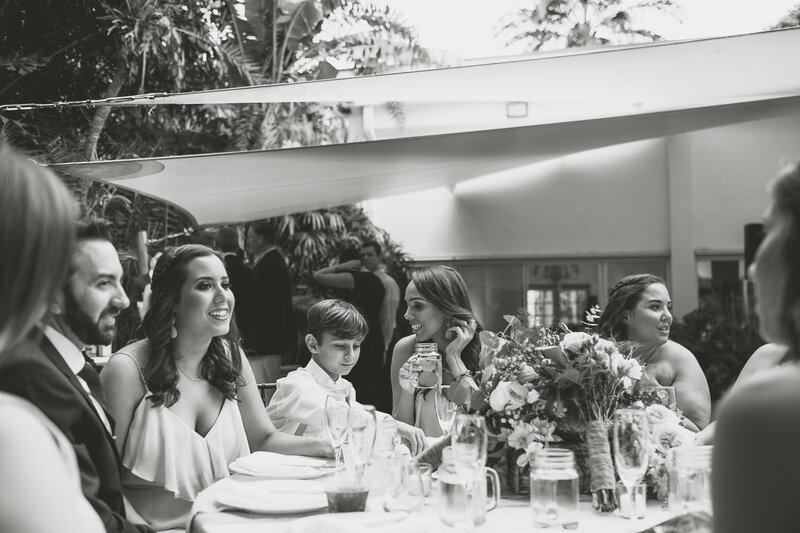 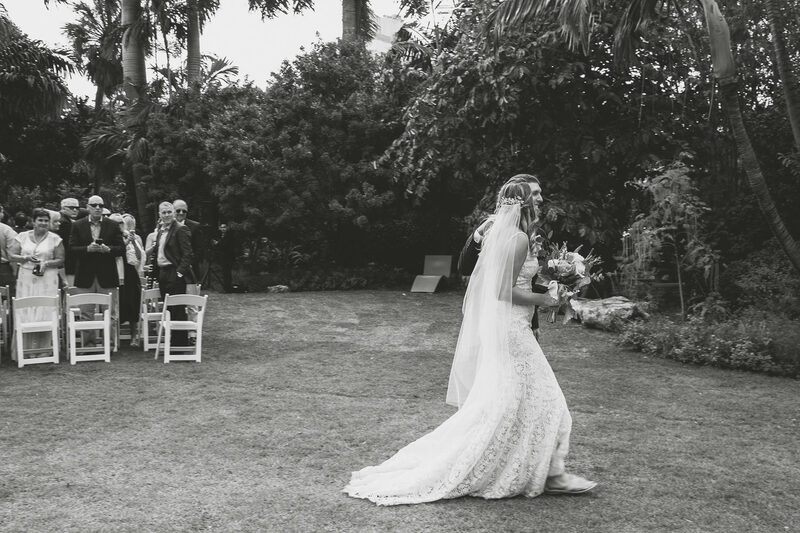 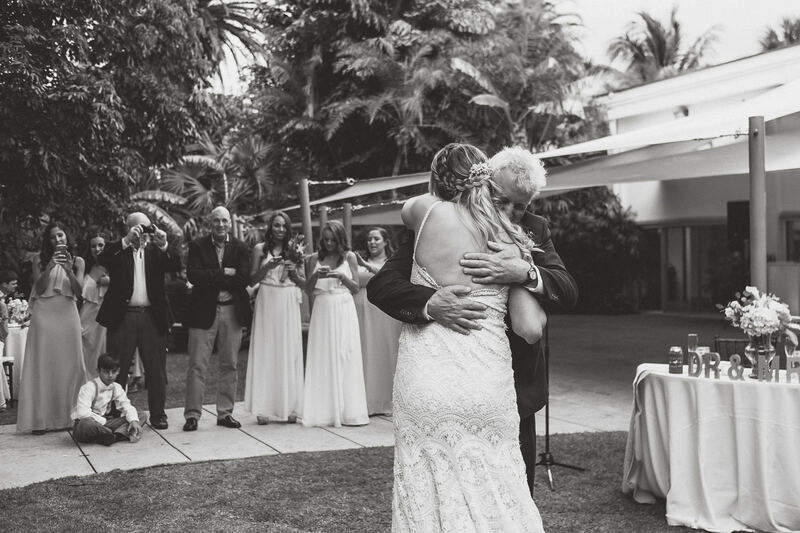 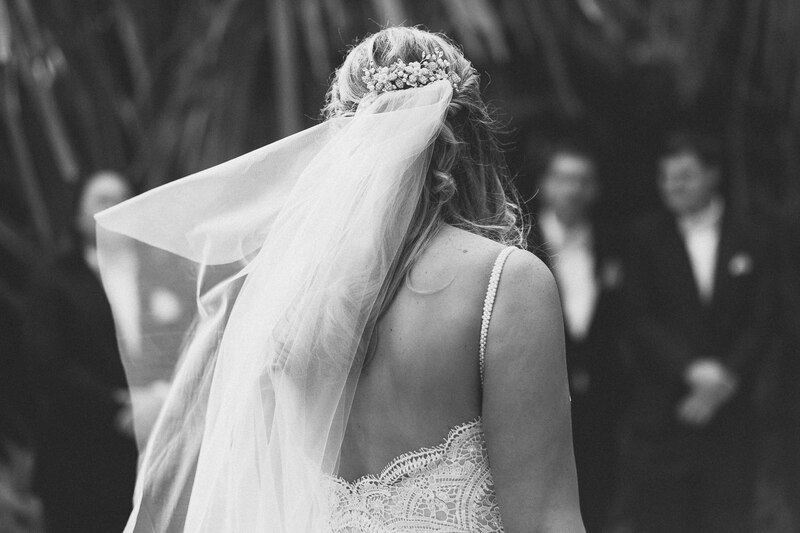 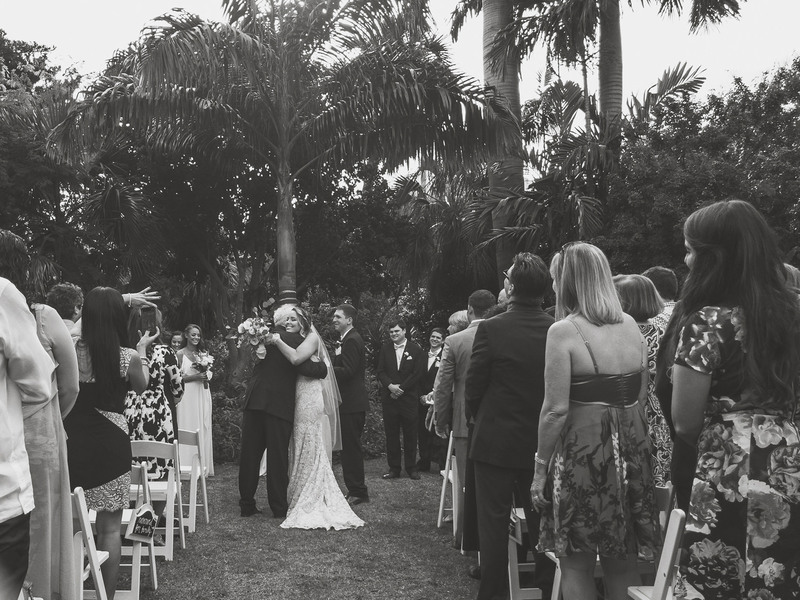 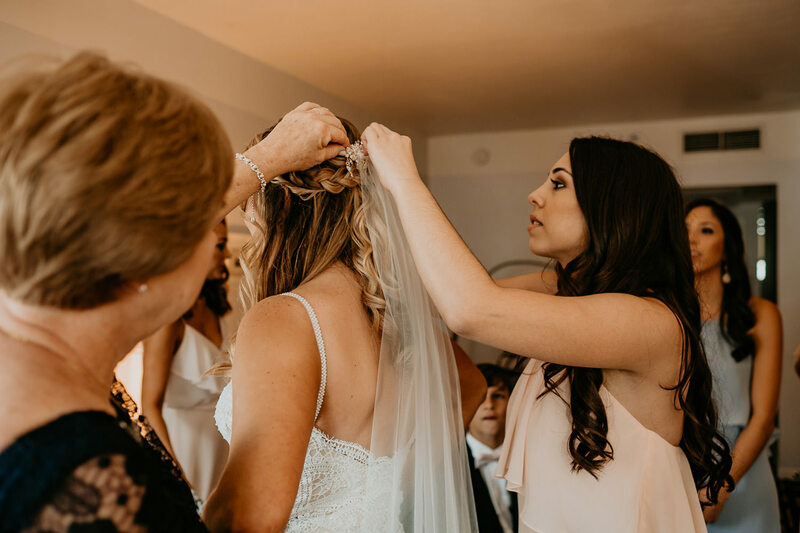 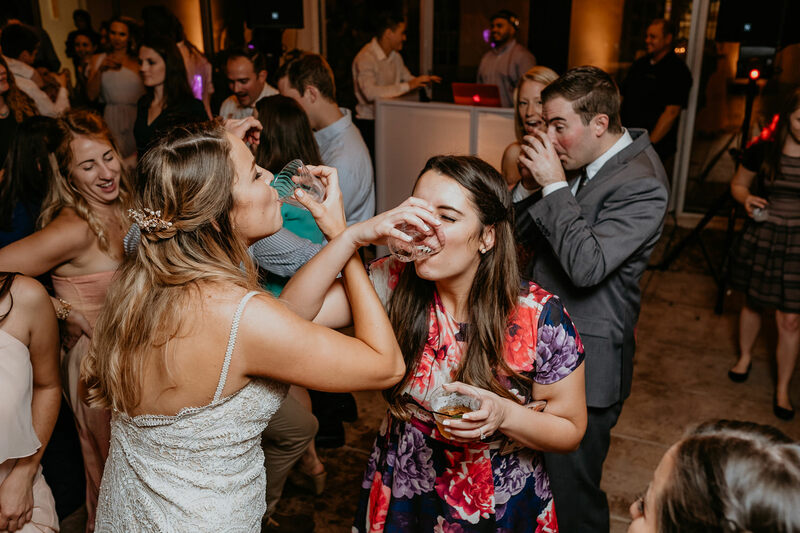 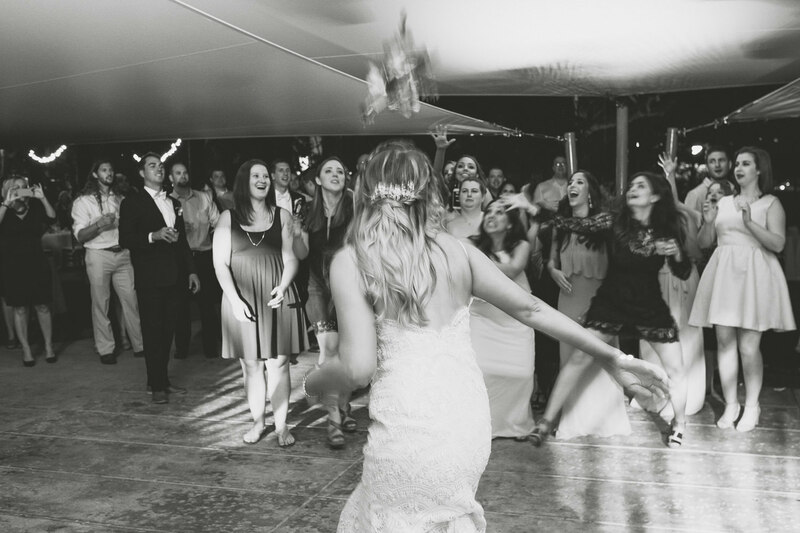 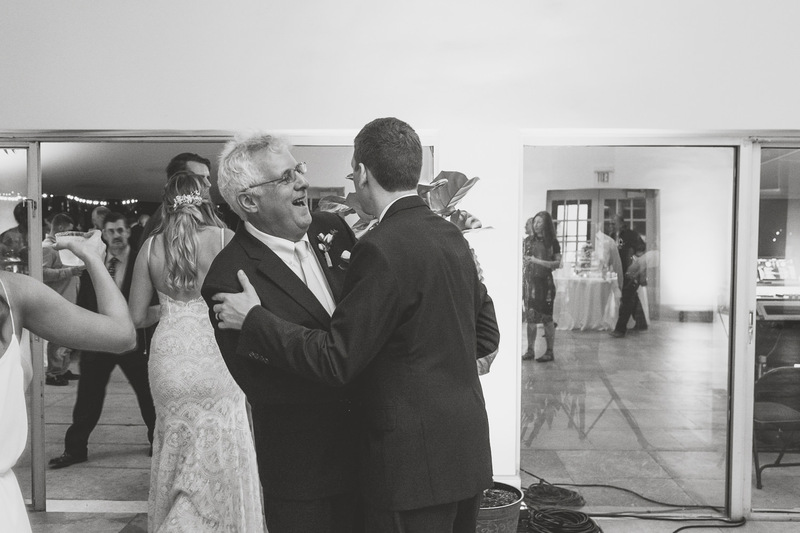 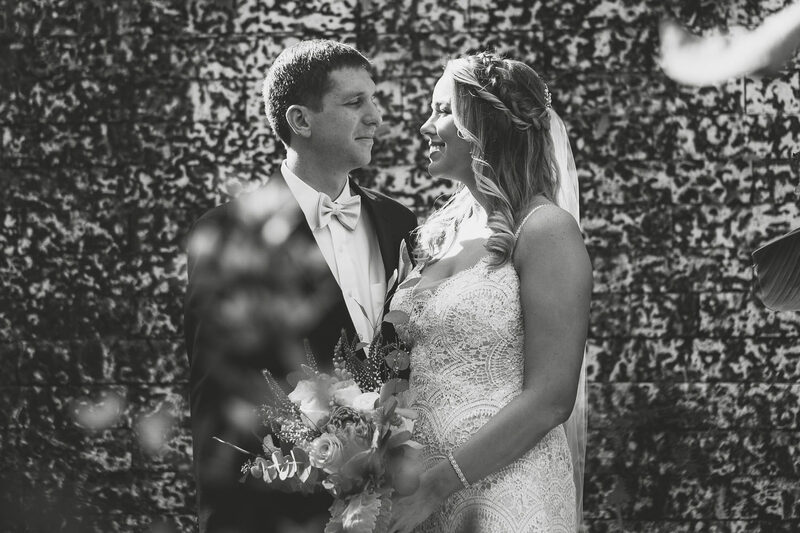 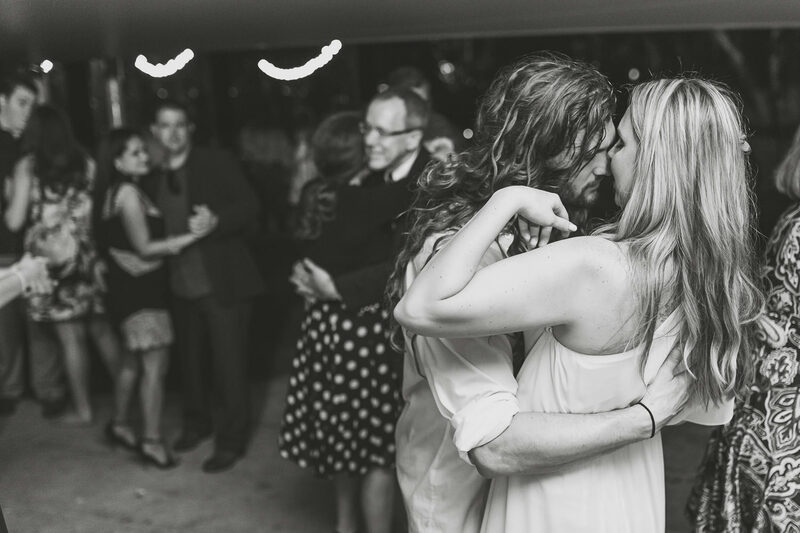 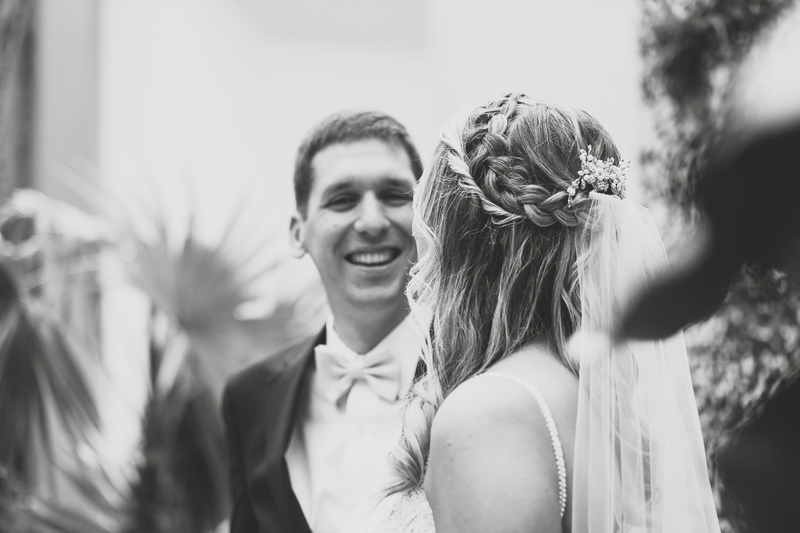 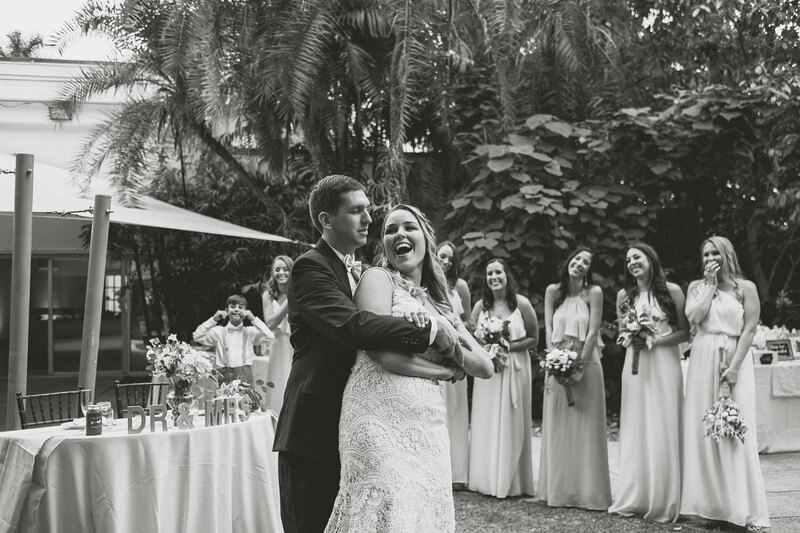 As you’ll see in the pictures below, Chelsey and Alex had a perfect Miami wedding day. 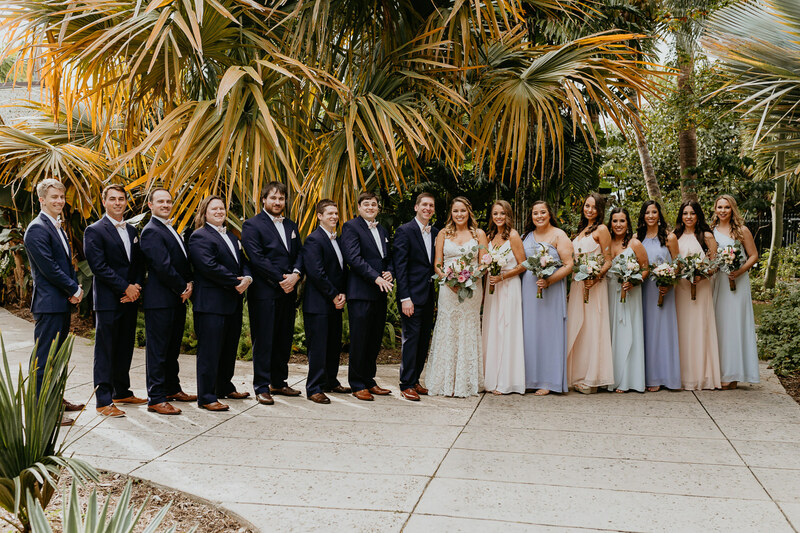 Close family, FSU friends, Army brothers, and sorority sisters. 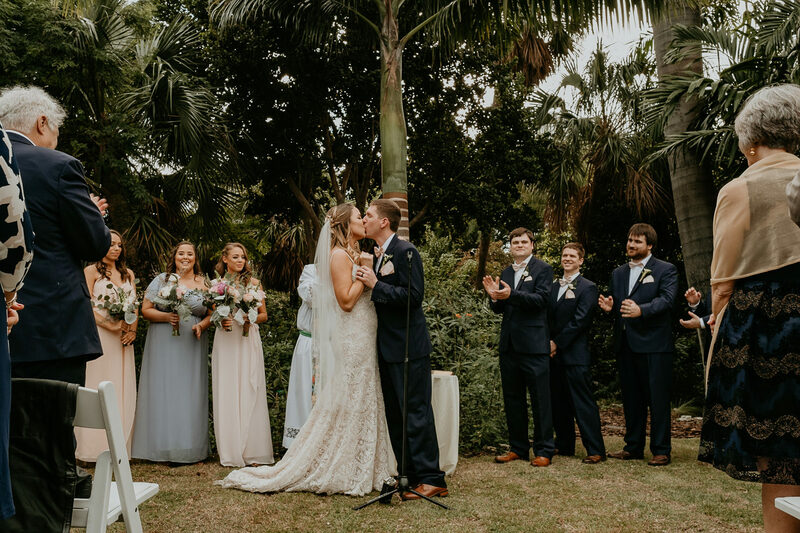 Everyone in attendance to congratulate and celebrate with the newlyweds. 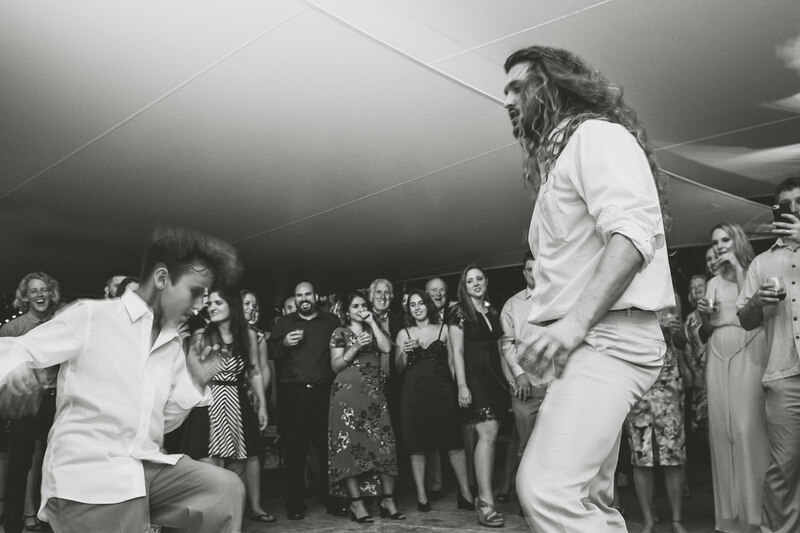 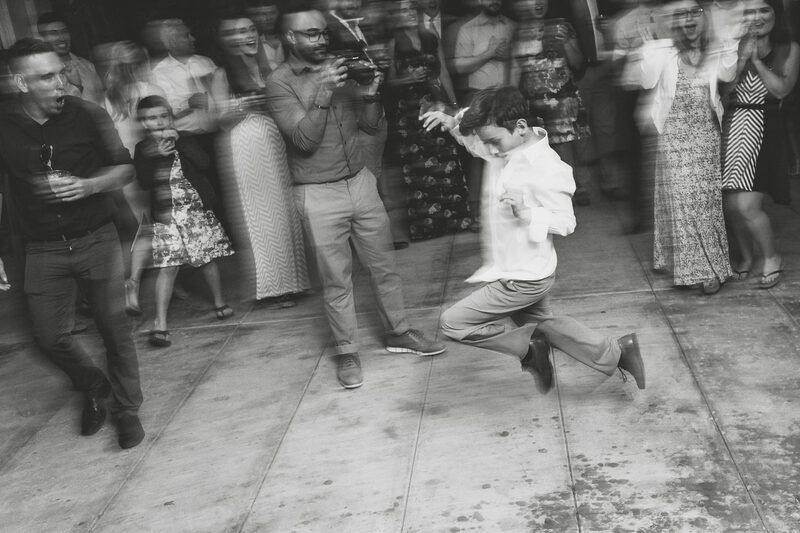 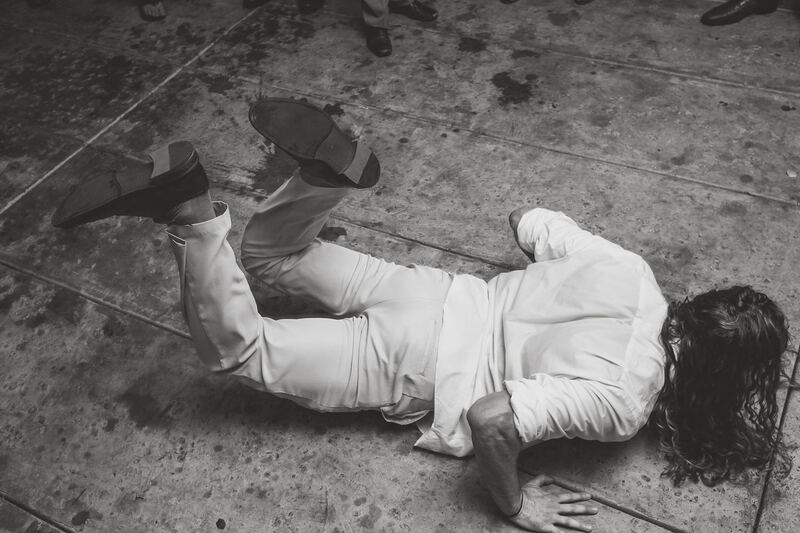 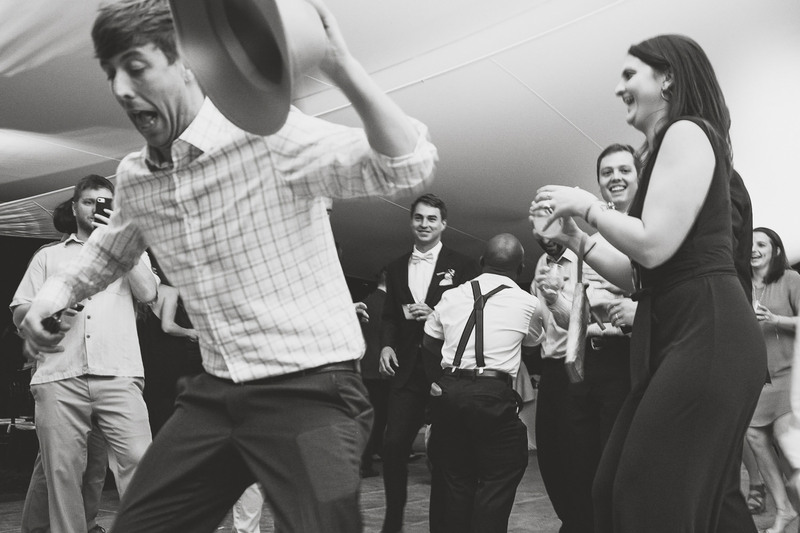 There was a lot of laughter, so many tears, and a full evening of dance-offs. 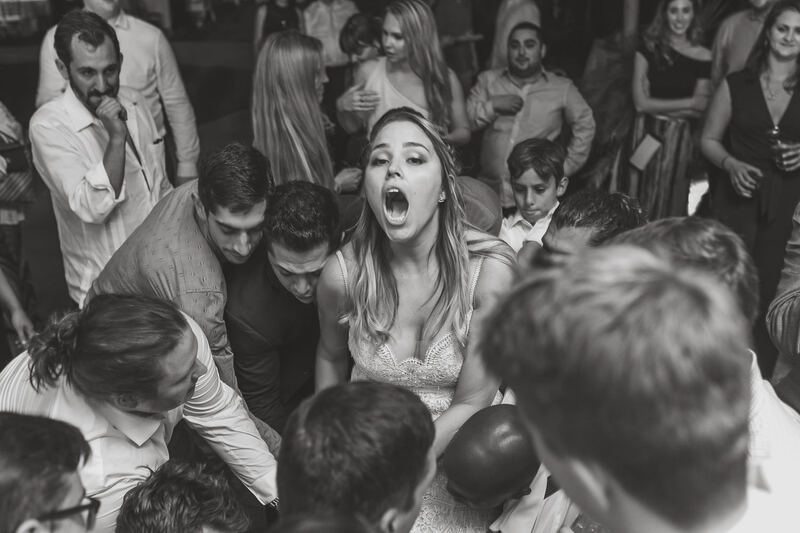 It was a complete package wedding day experience. 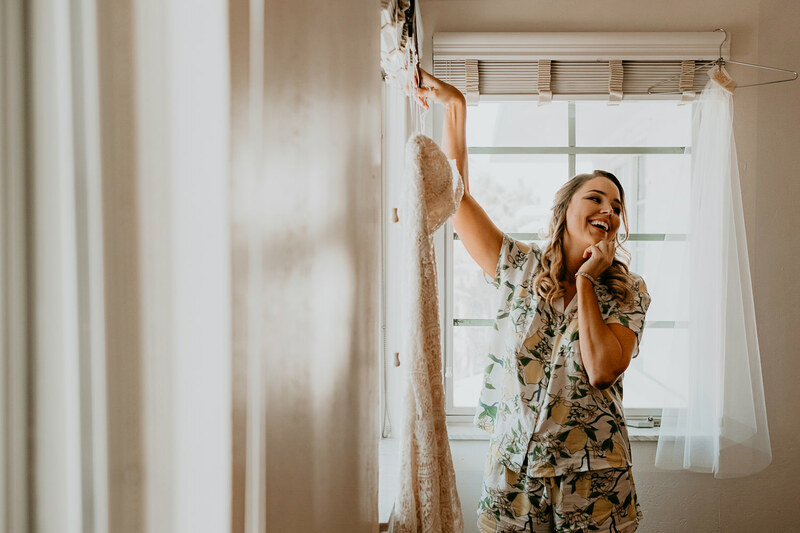 The day started at the Surfcomber Hotel in South Beach with the soon-to-be-married couple getting ready in their separate rooms. 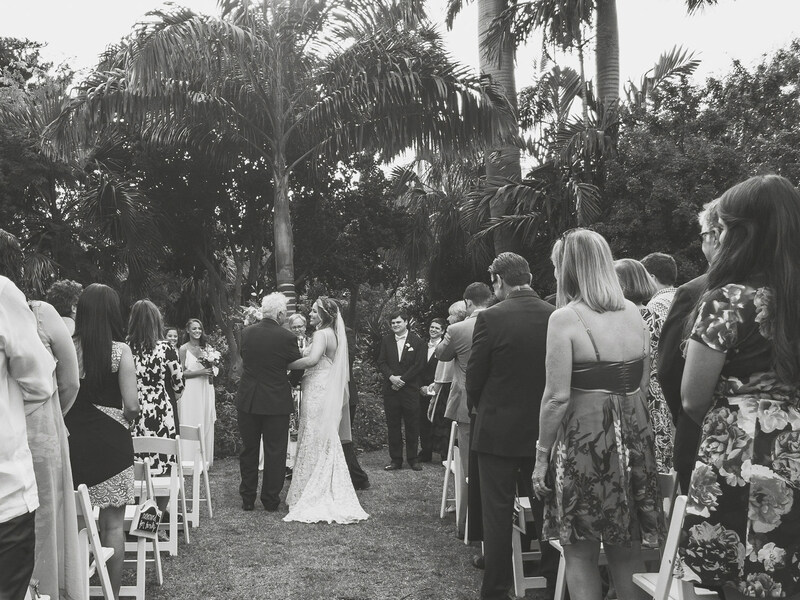 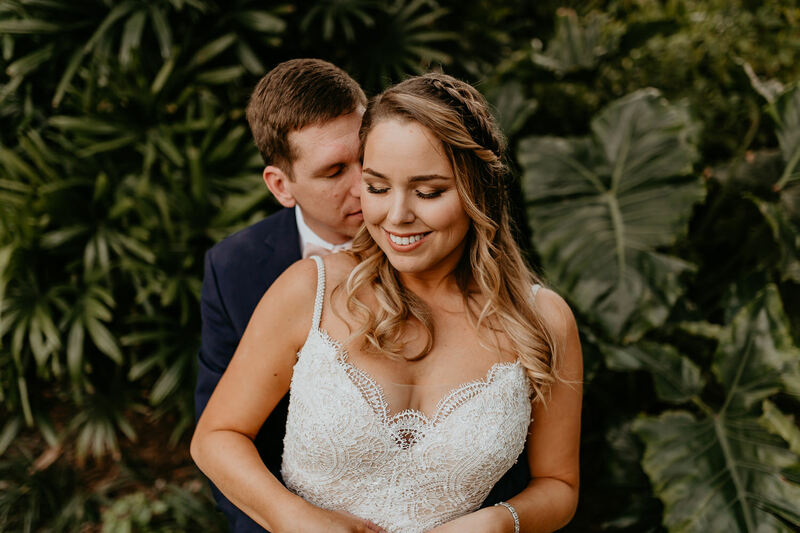 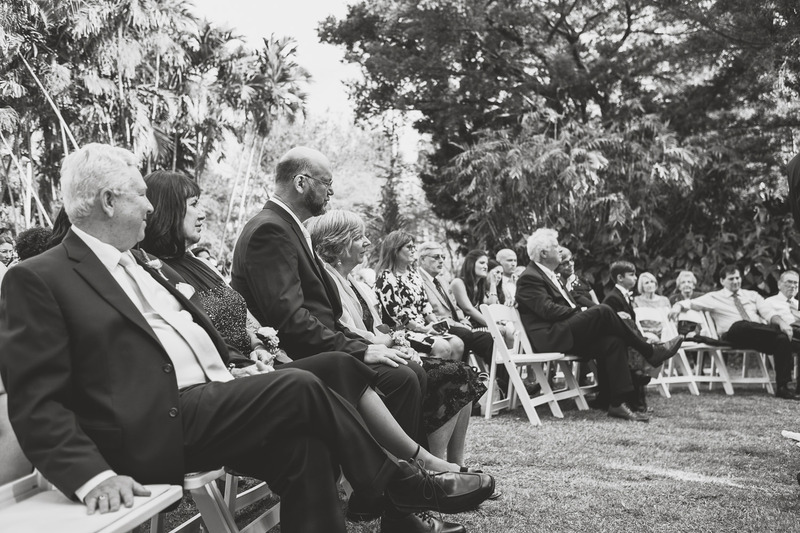 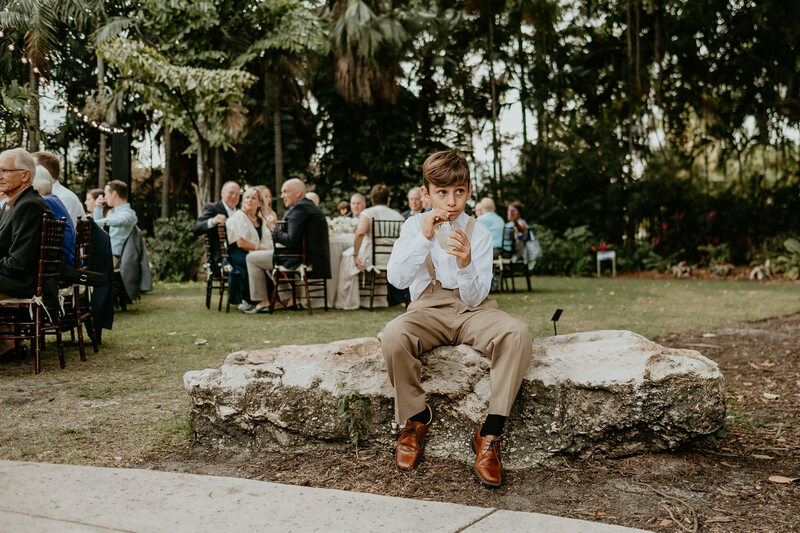 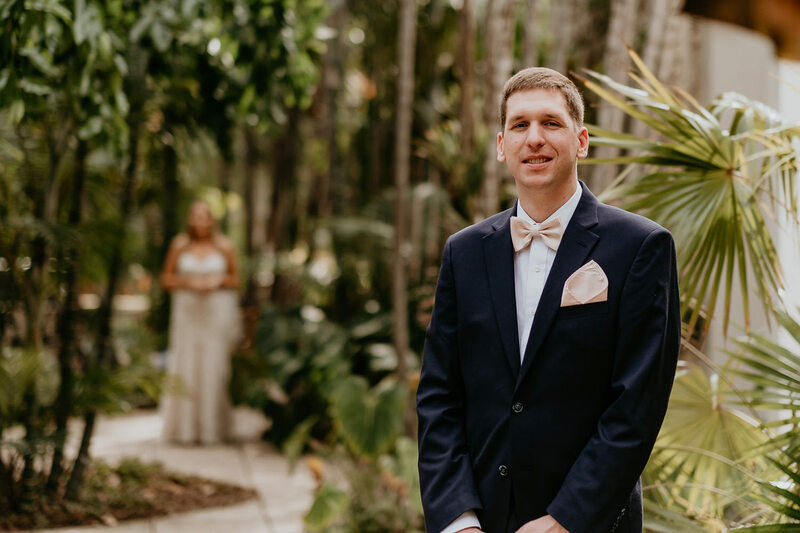 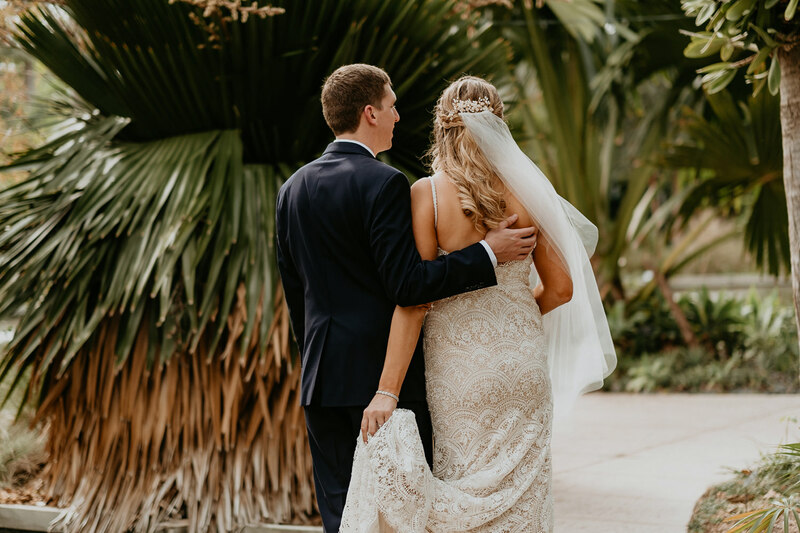 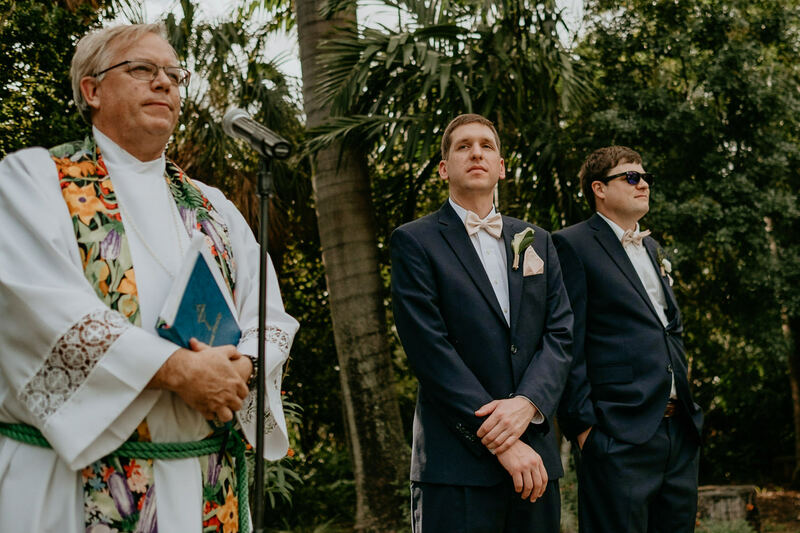 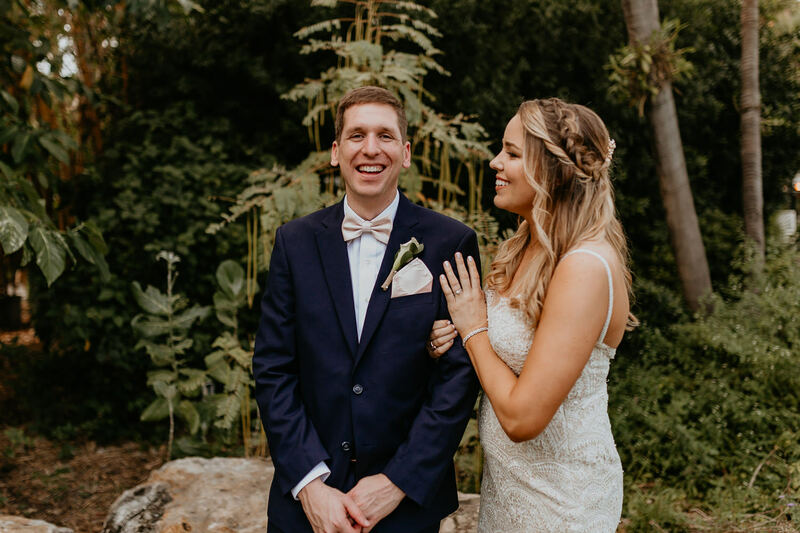 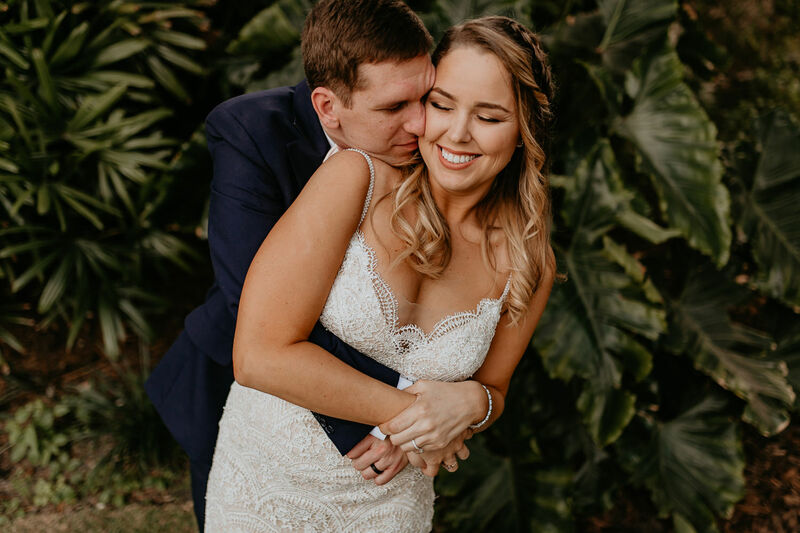 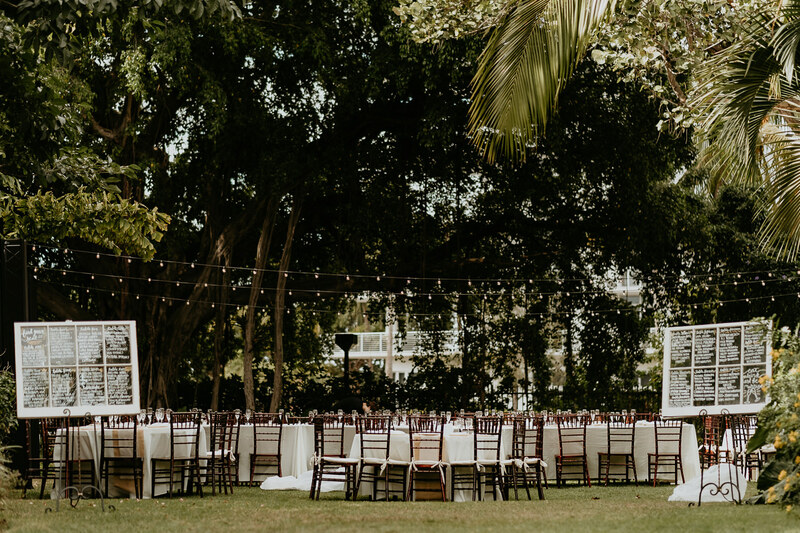 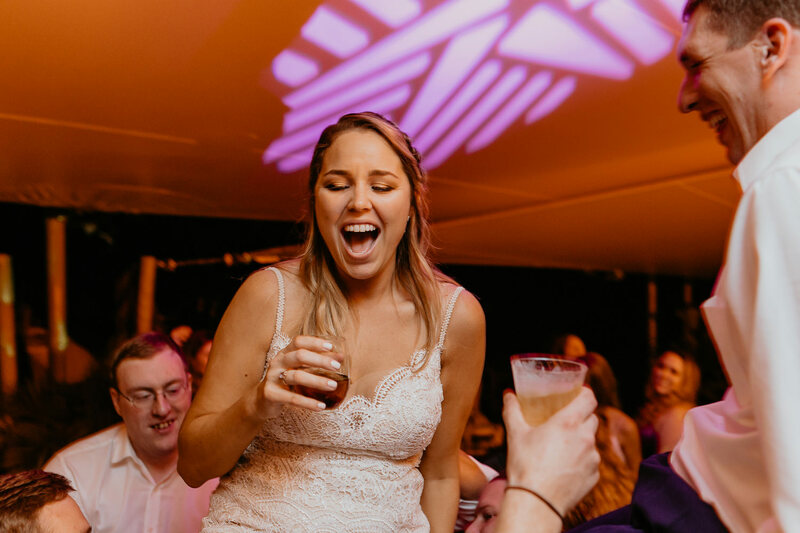 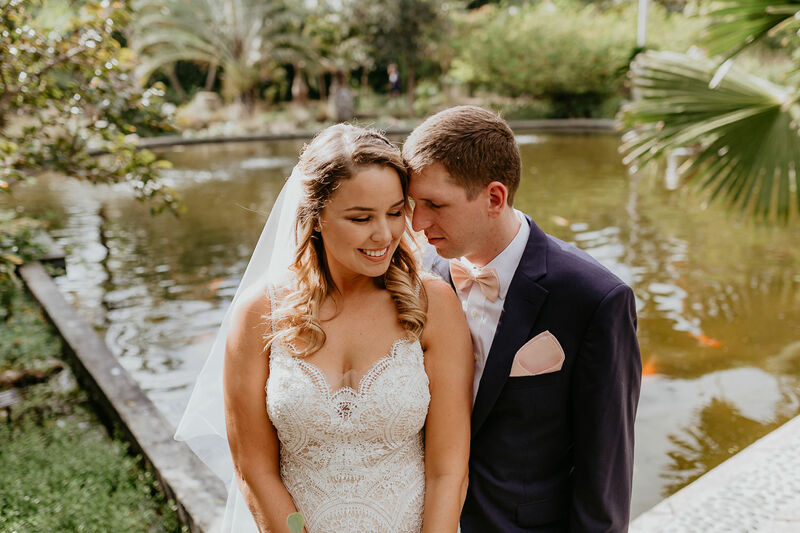 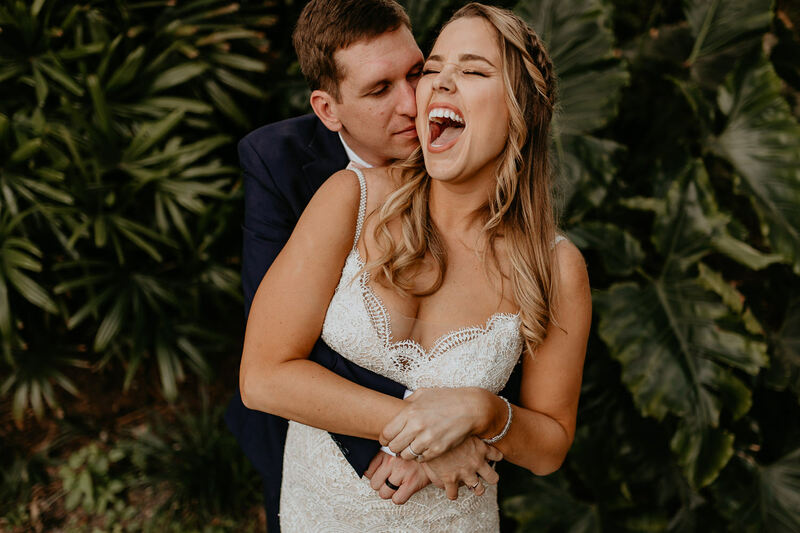 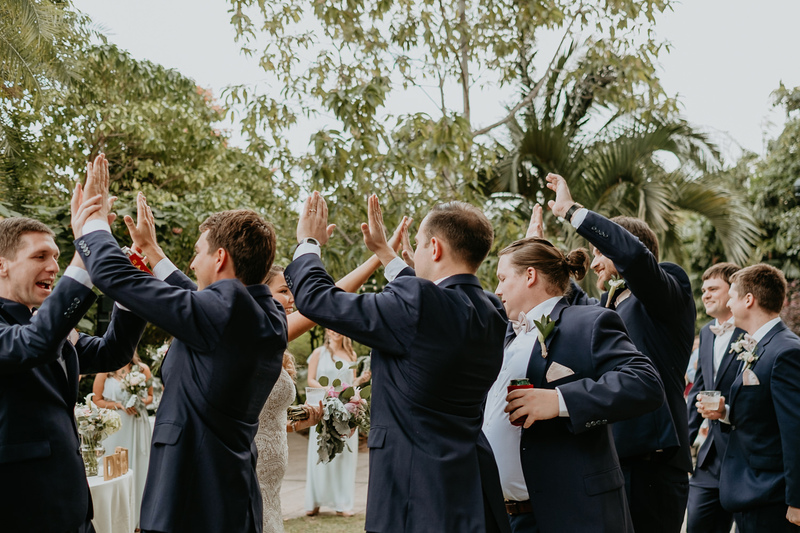 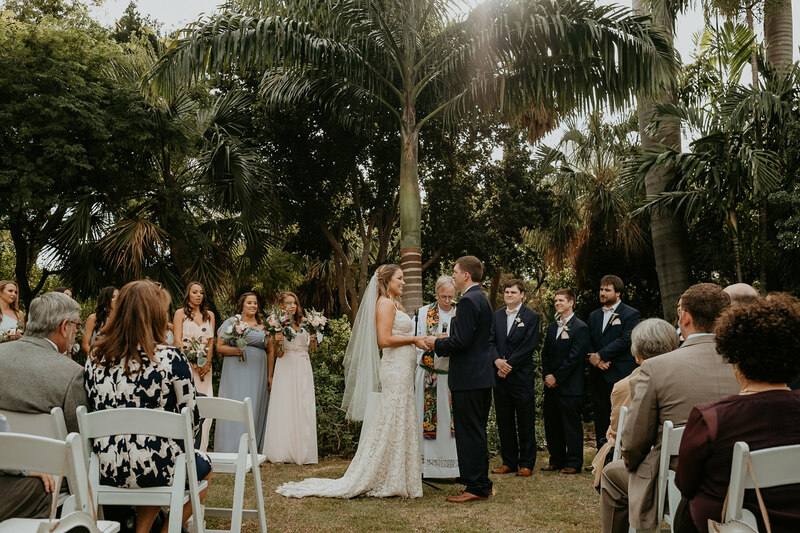 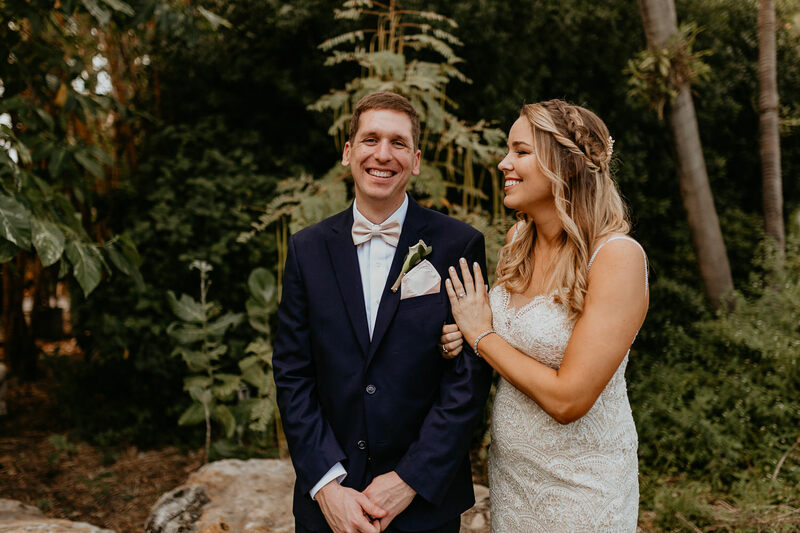 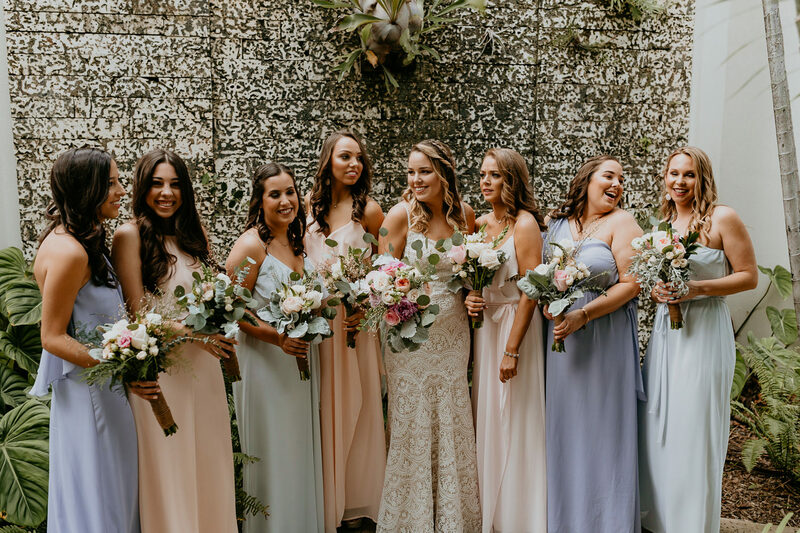 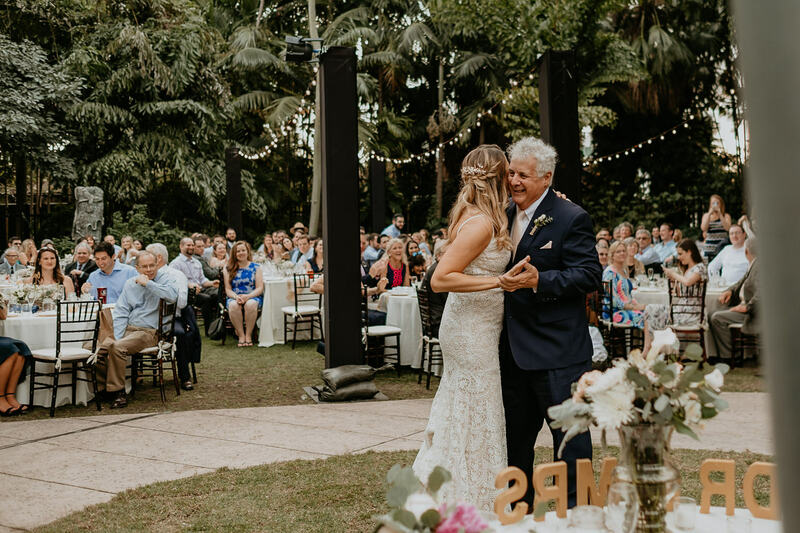 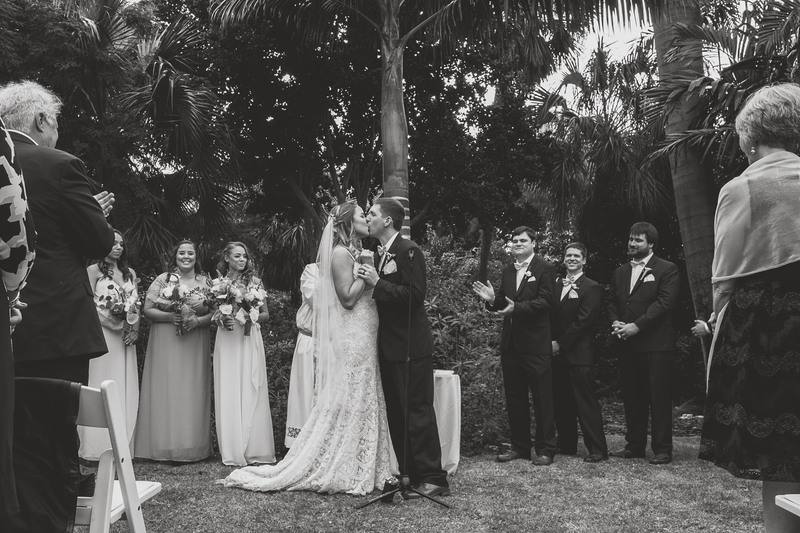 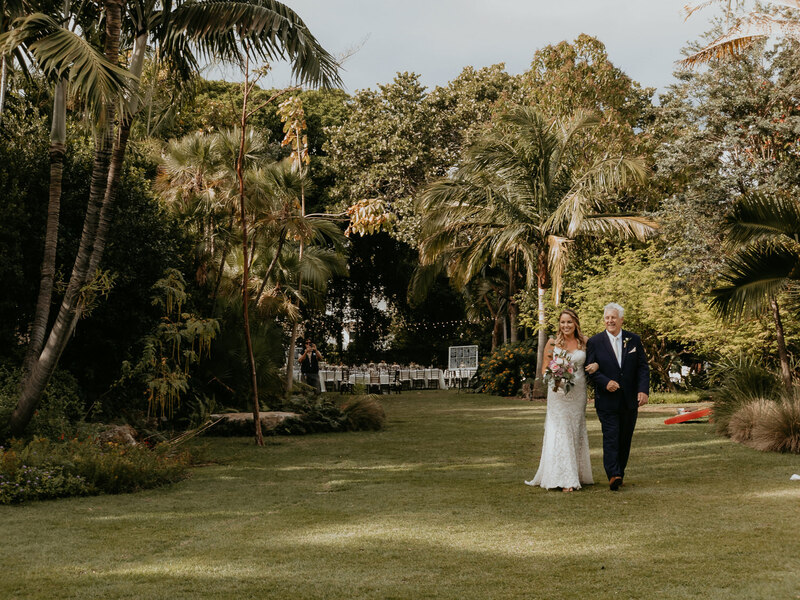 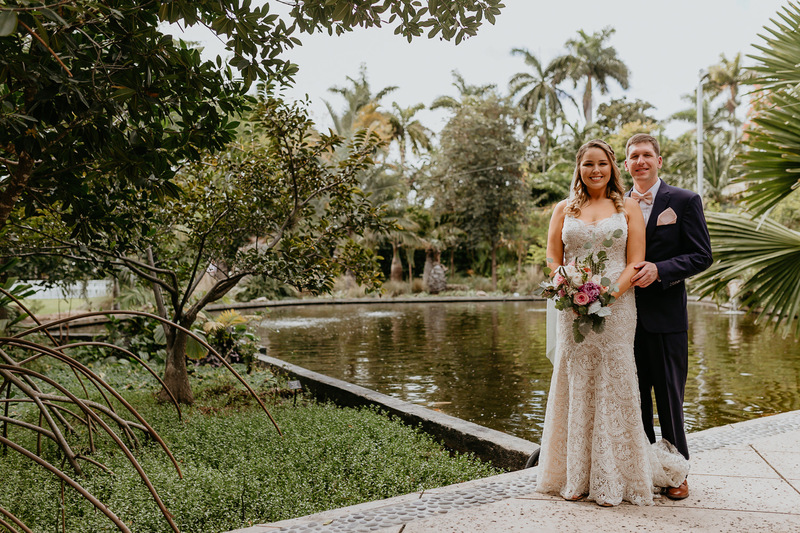 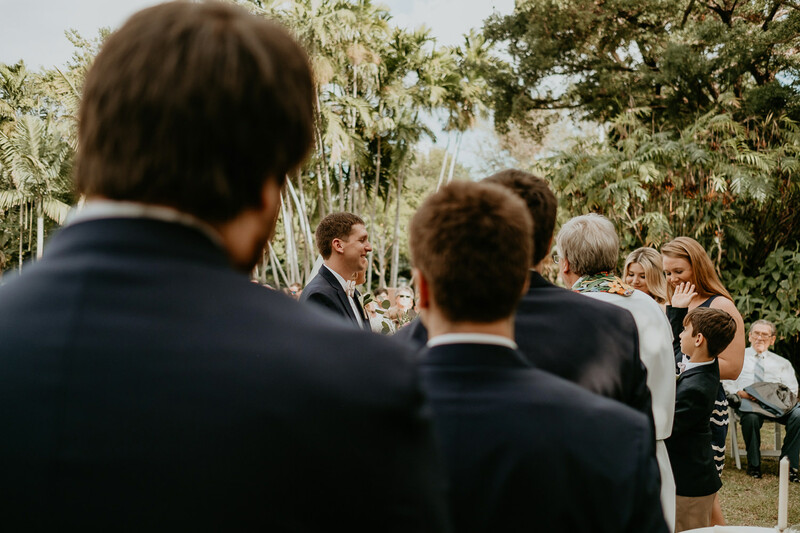 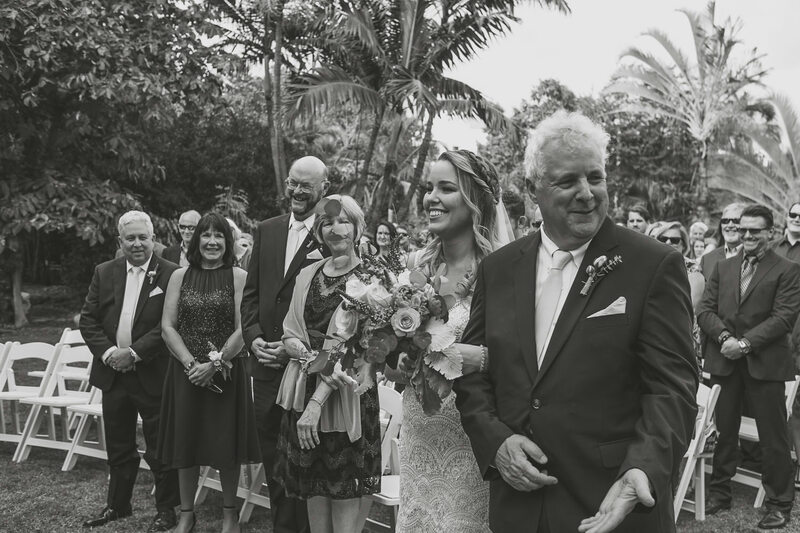 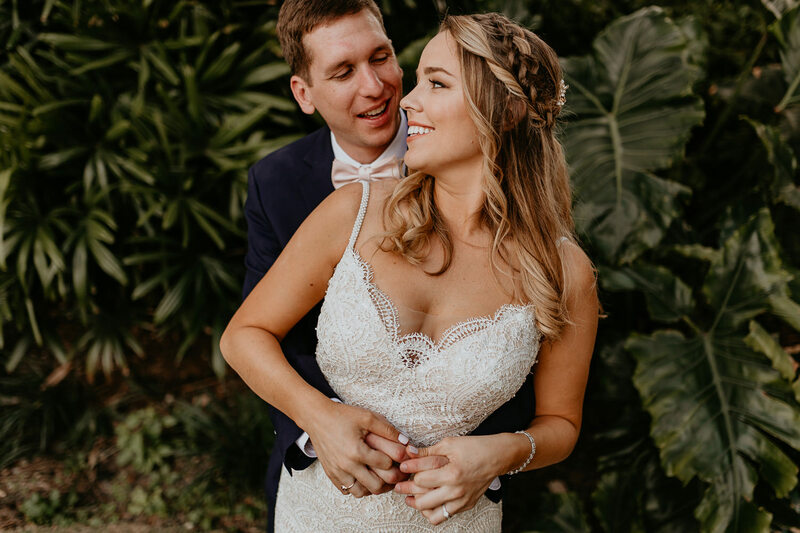 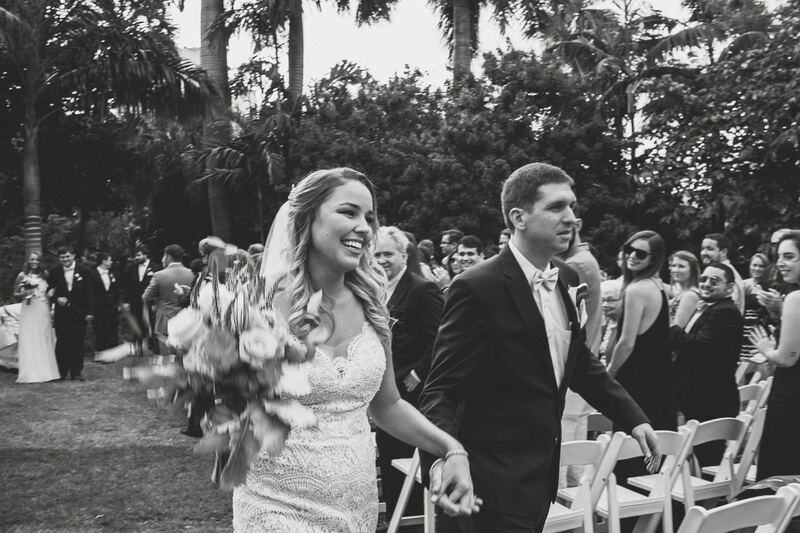 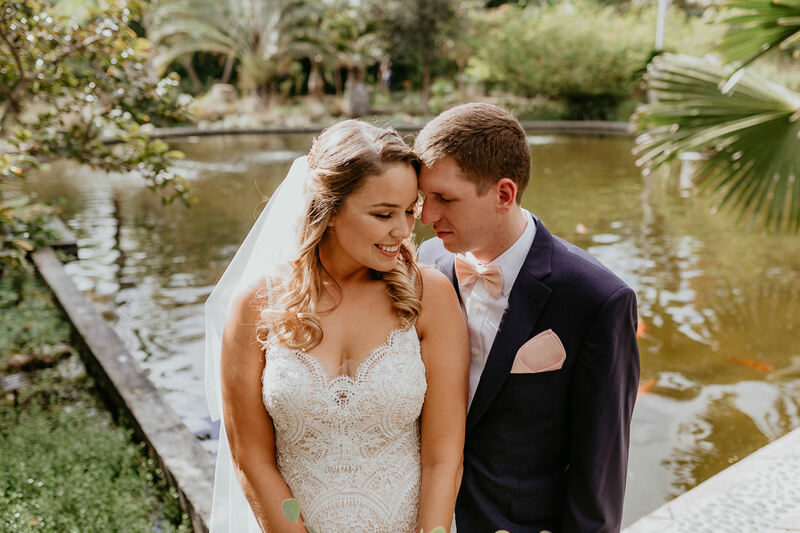 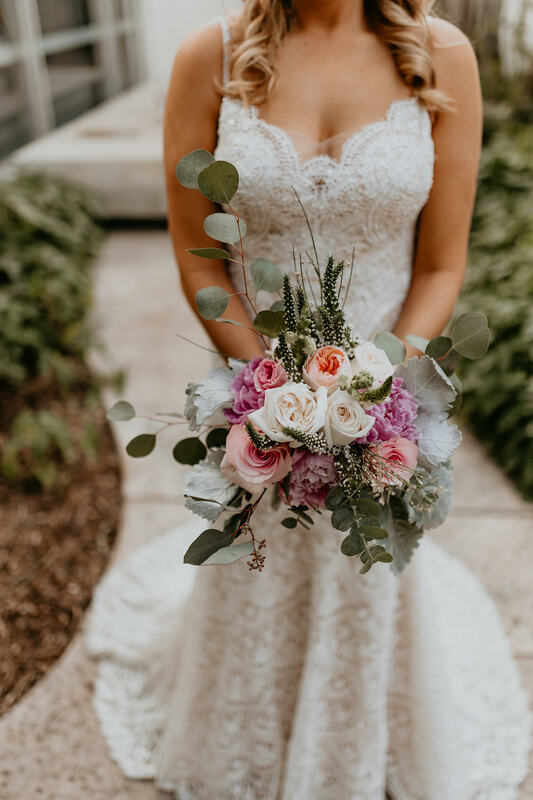 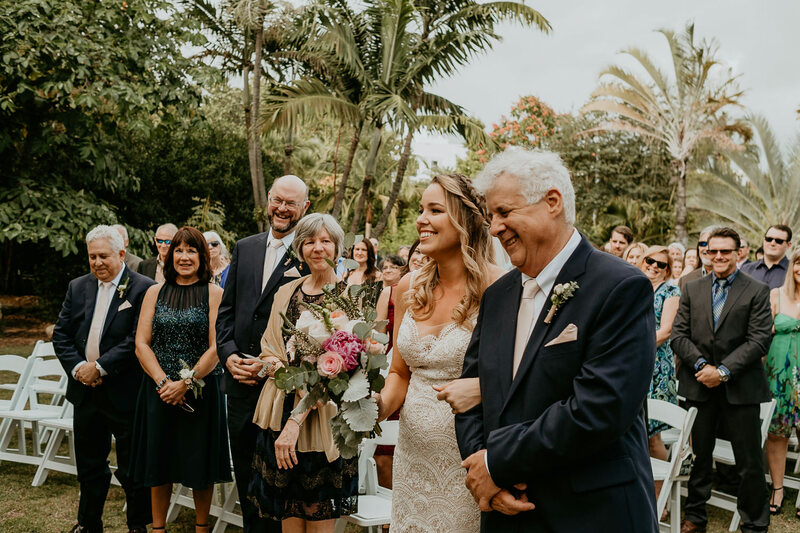 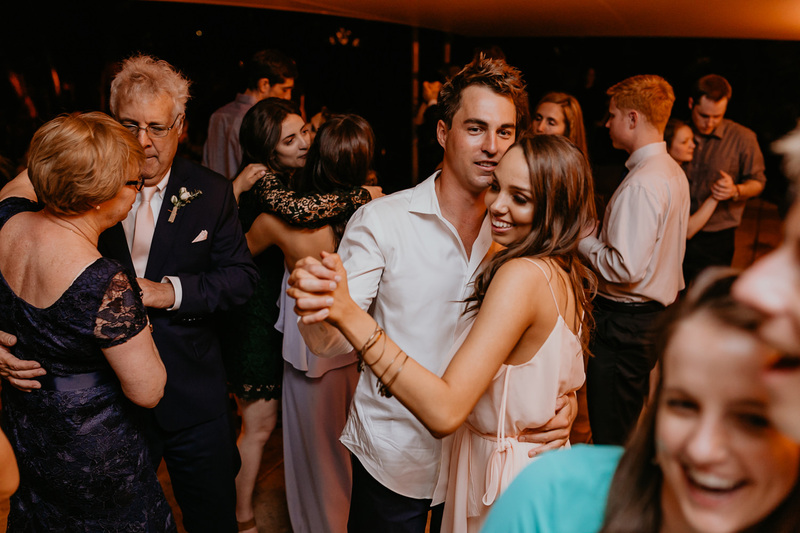 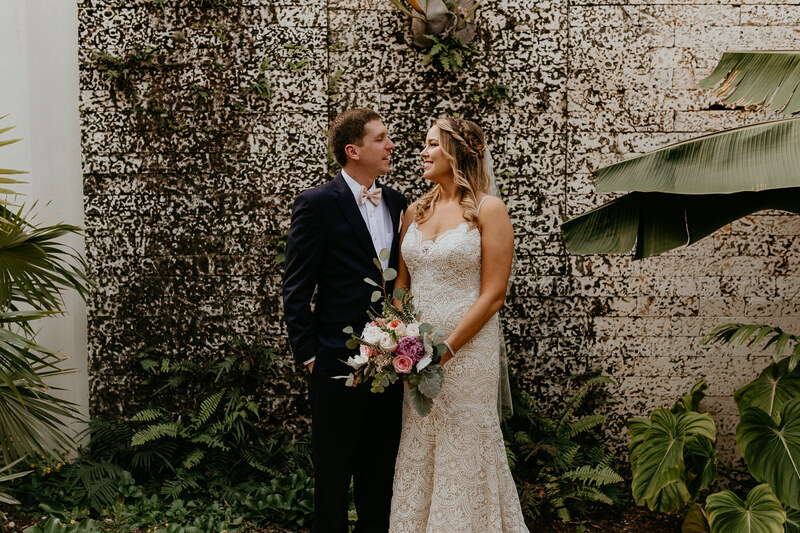 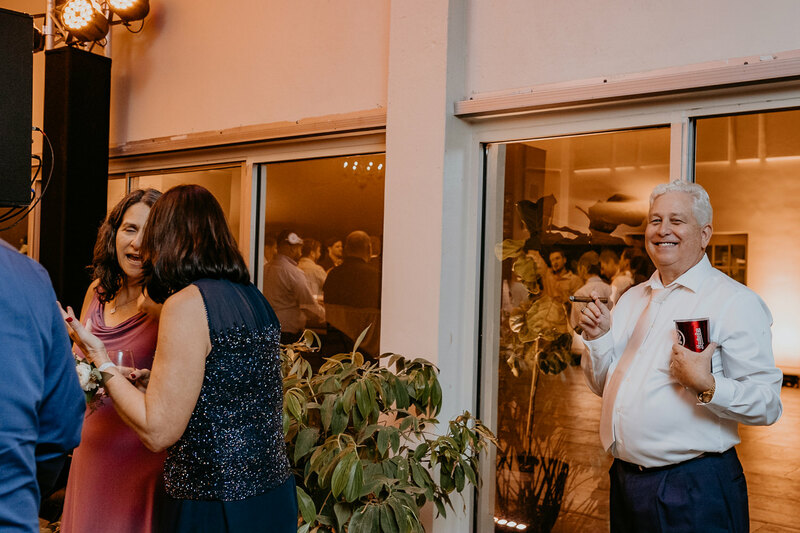 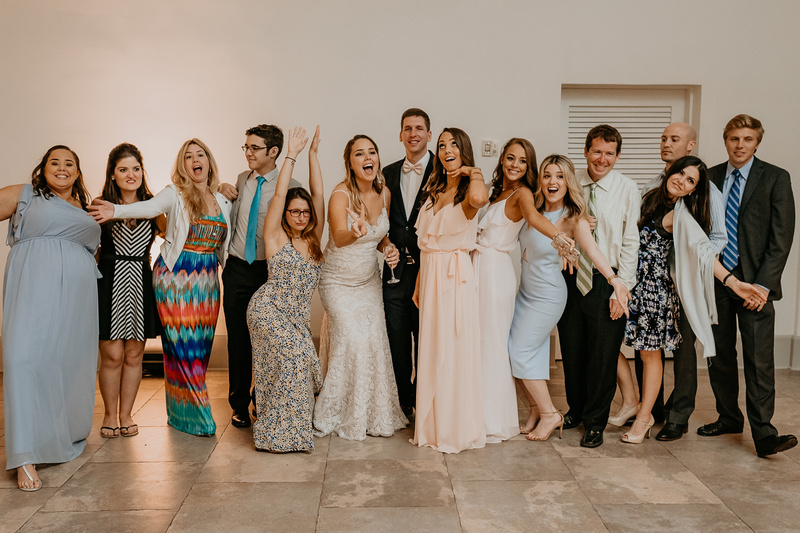 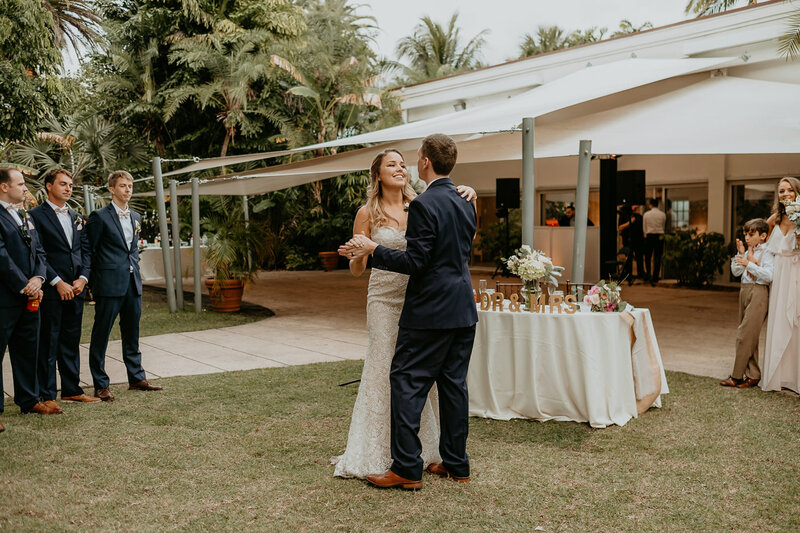 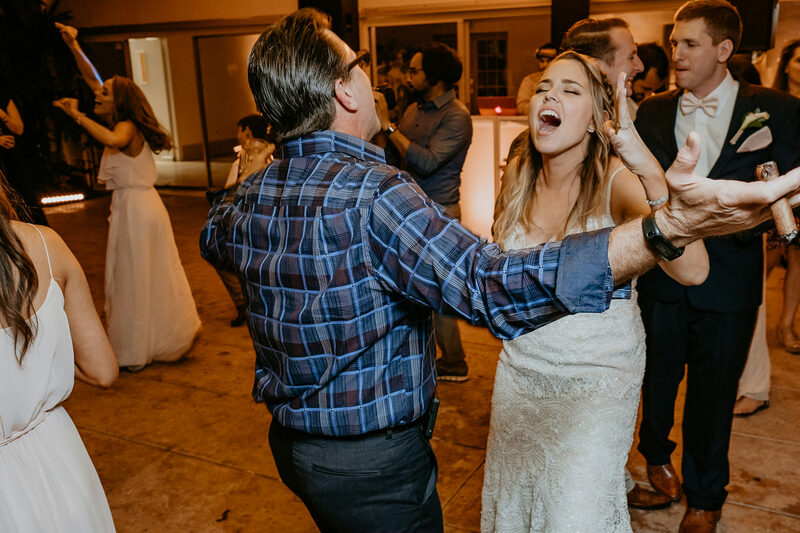 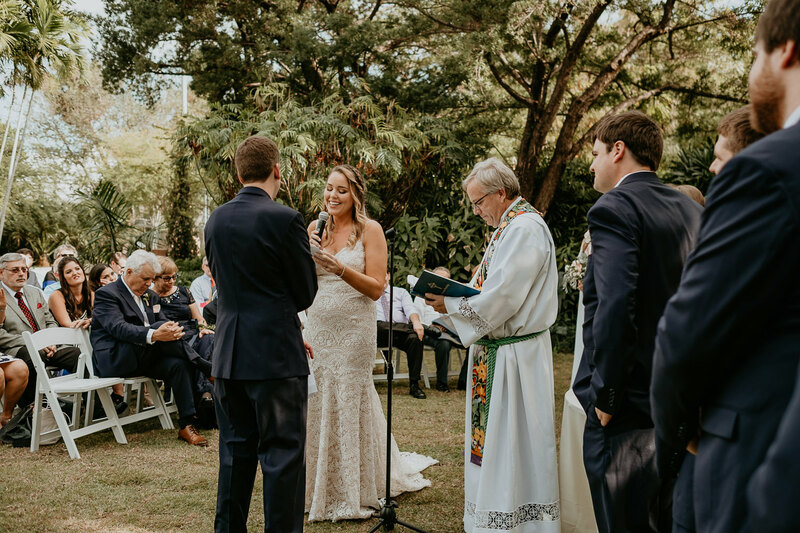 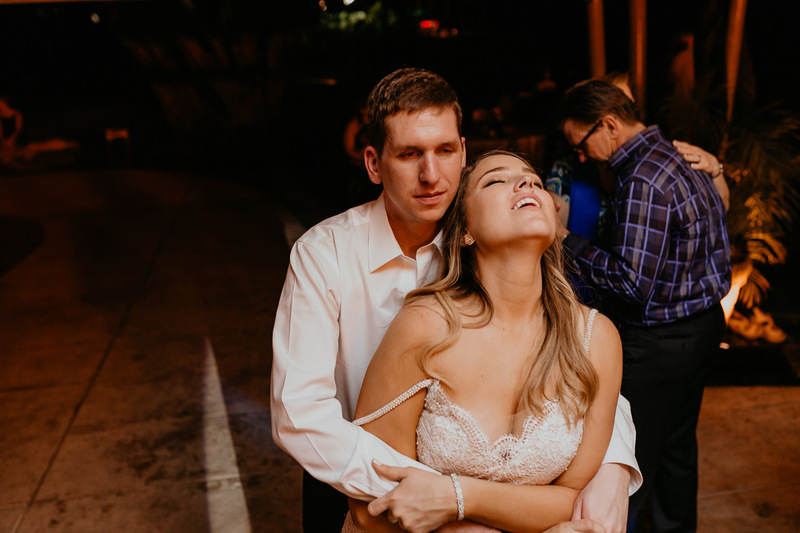 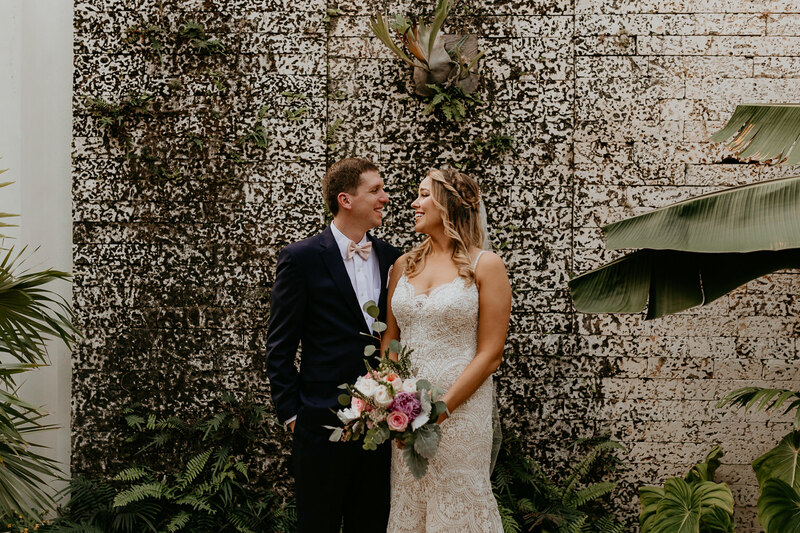 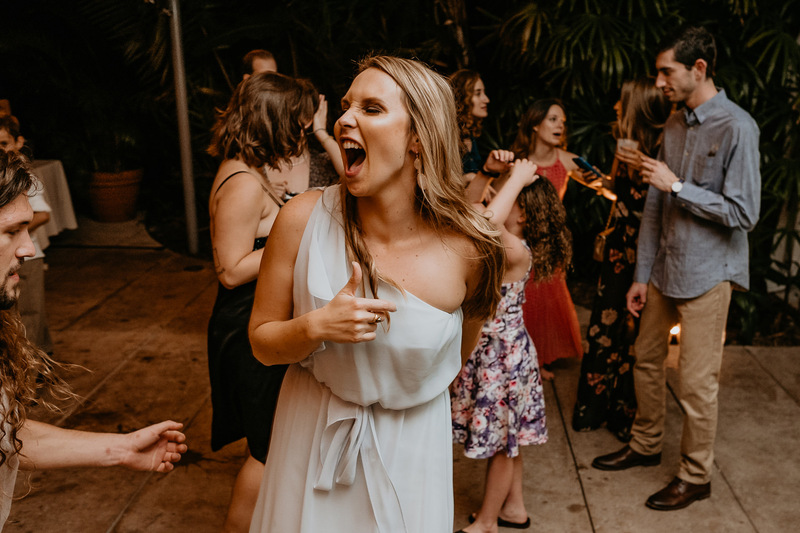 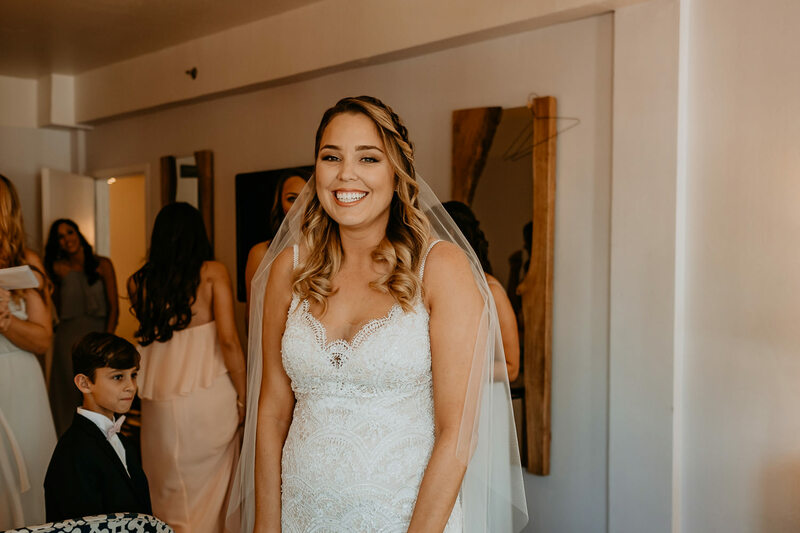 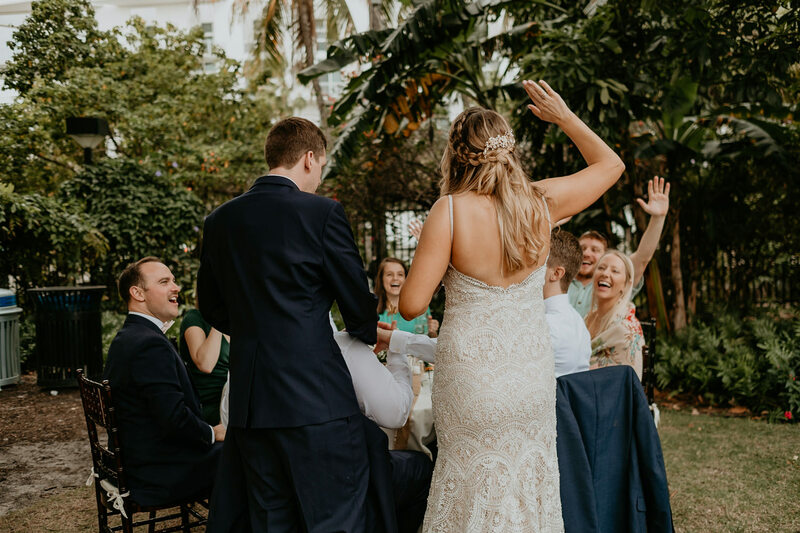 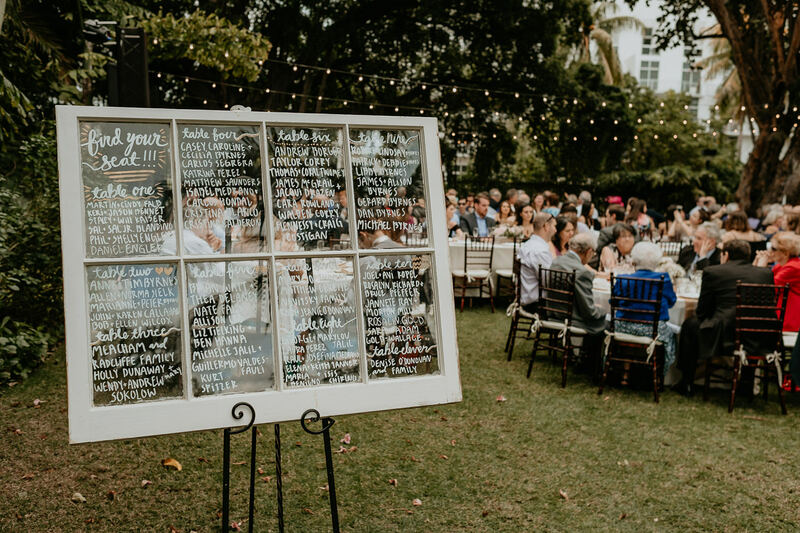 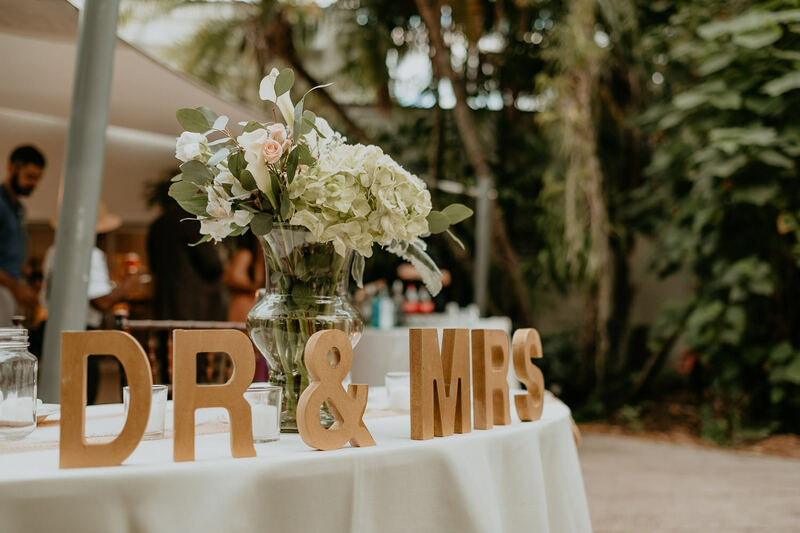 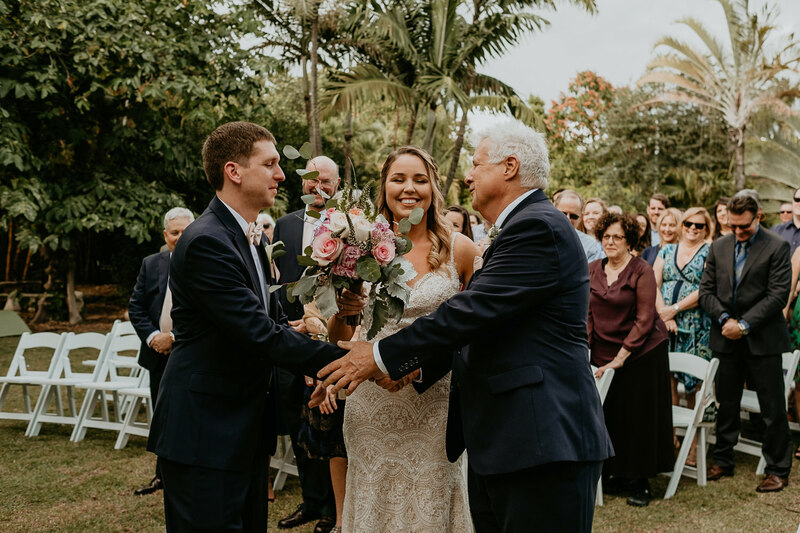 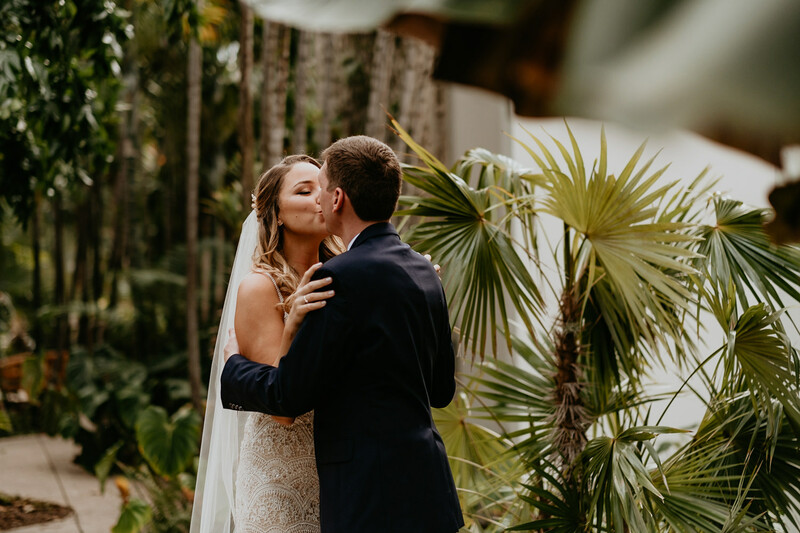 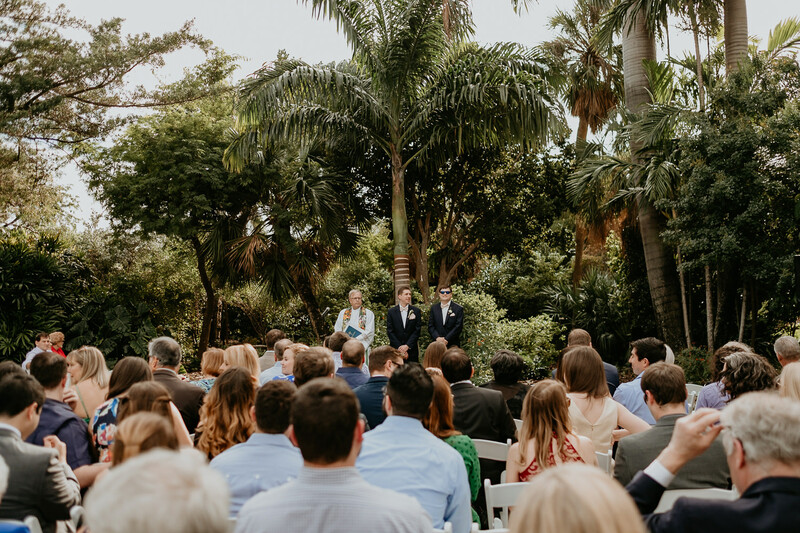 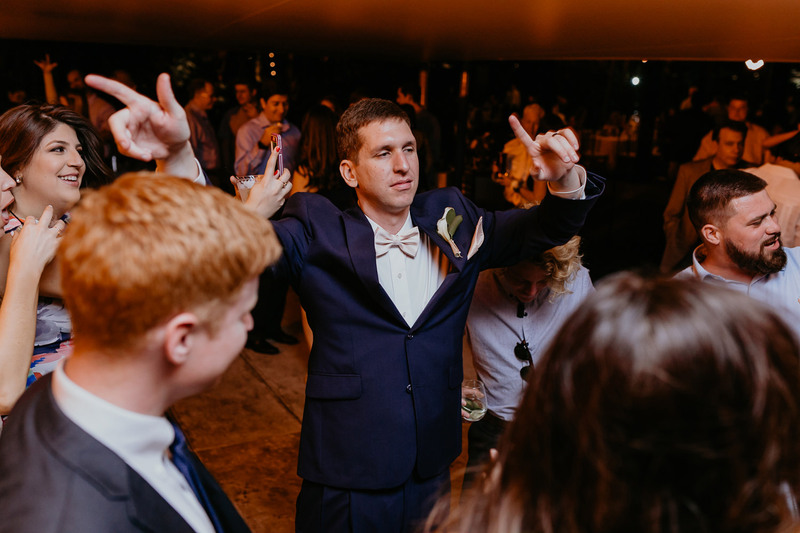 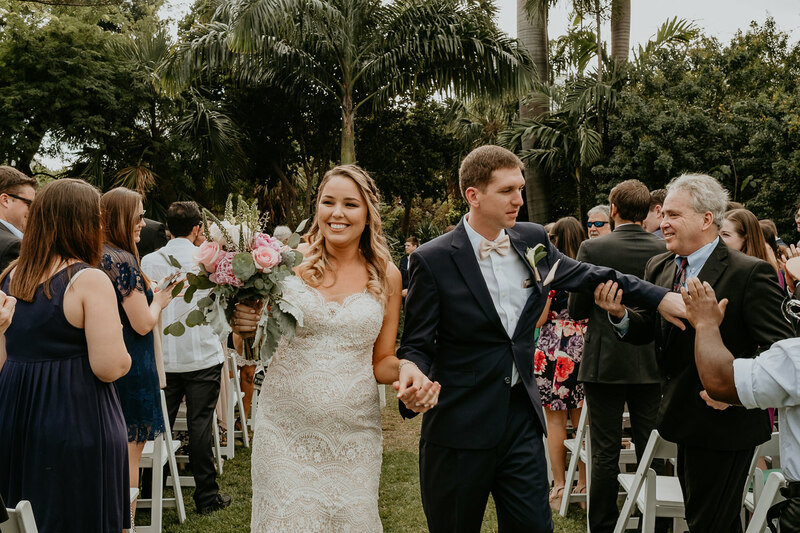 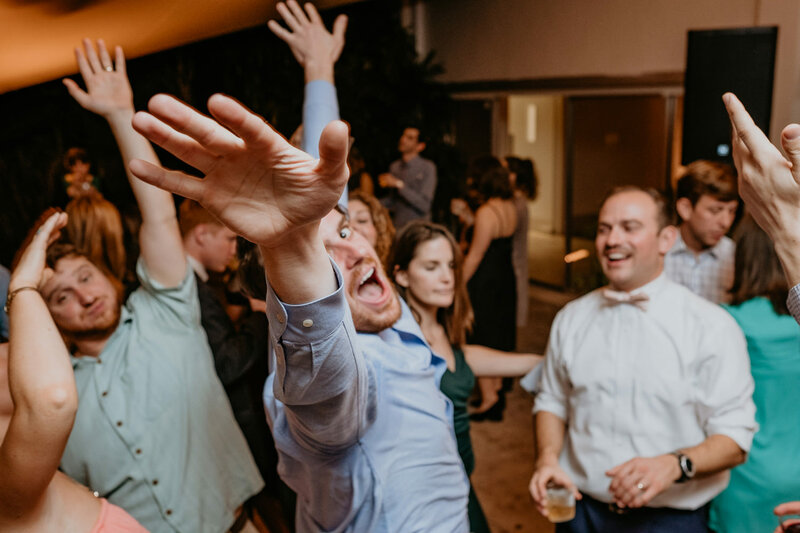 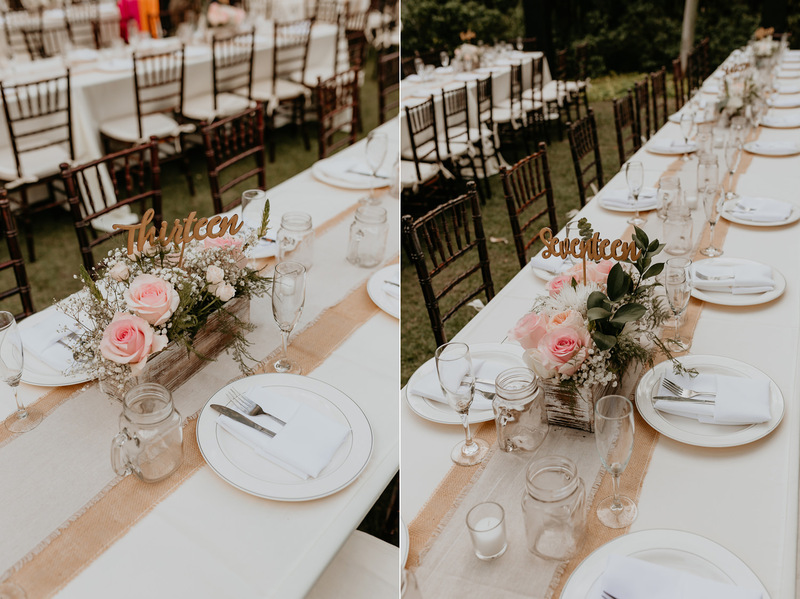 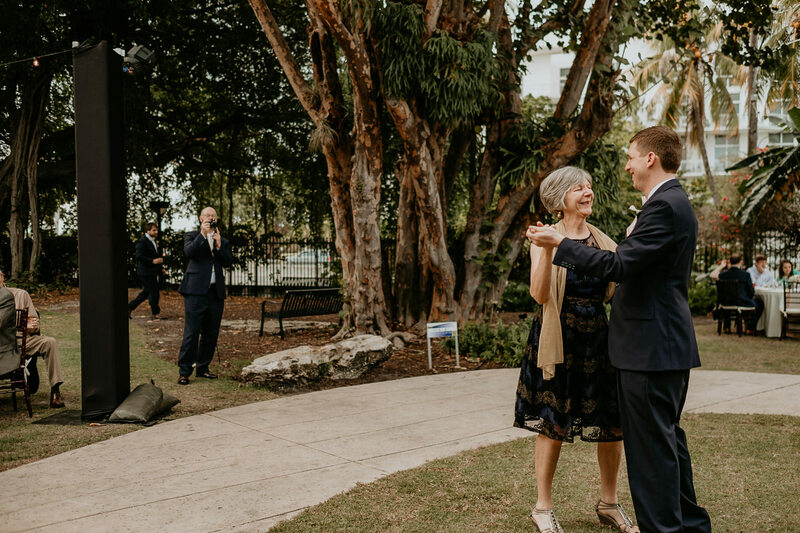 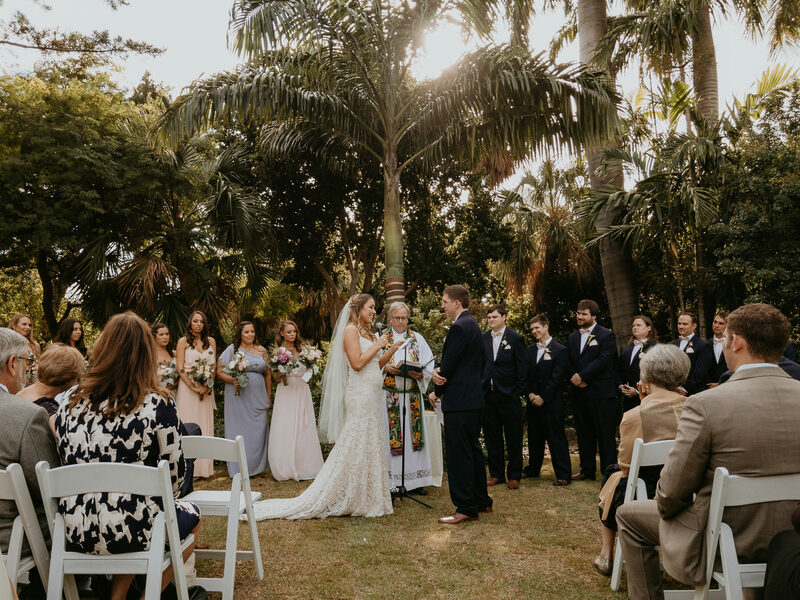 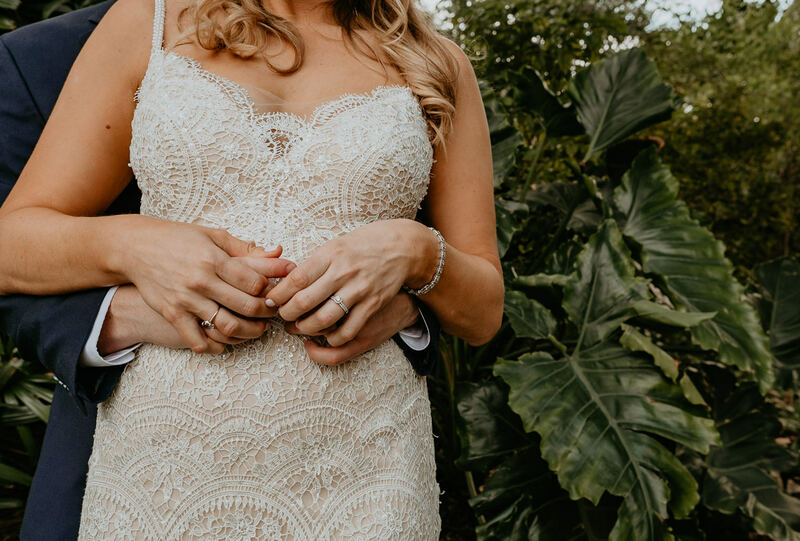 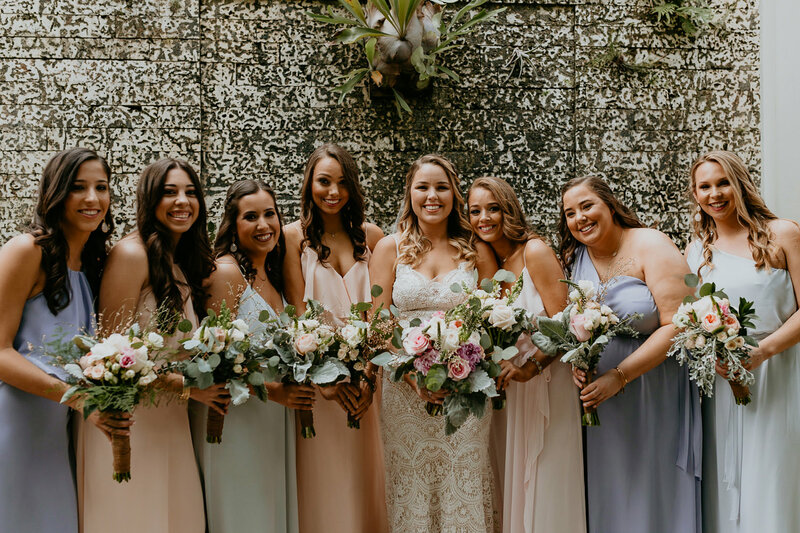 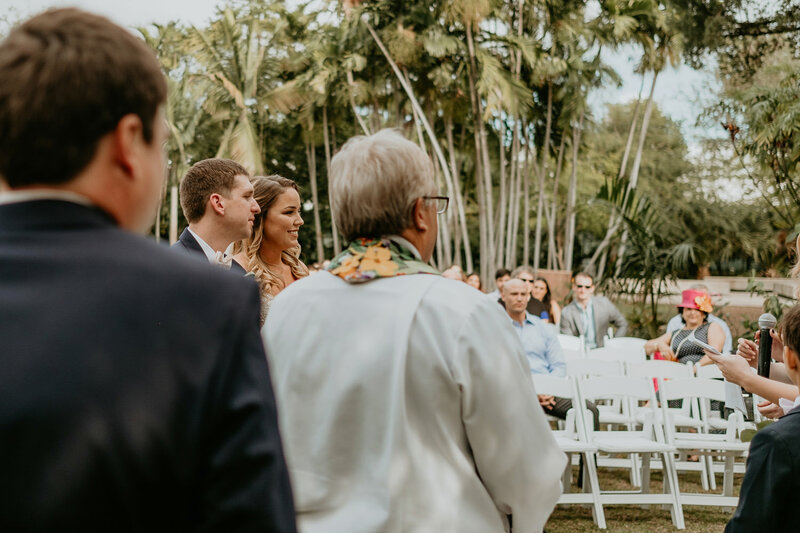 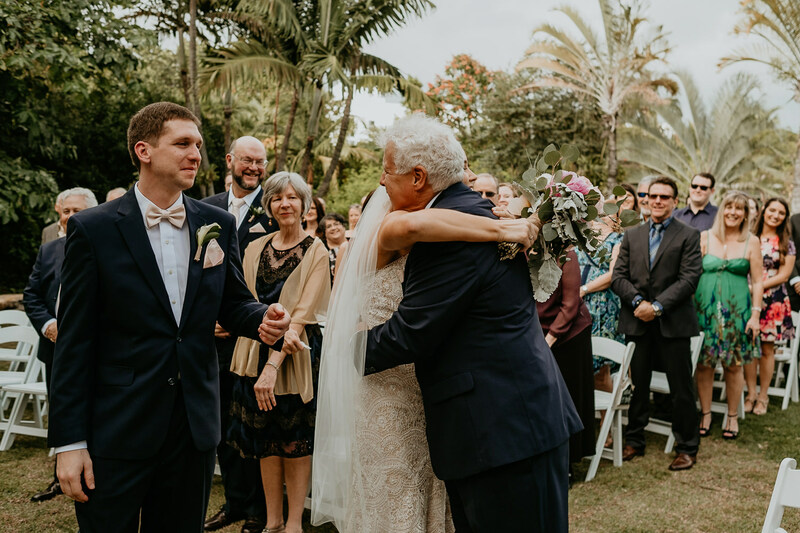 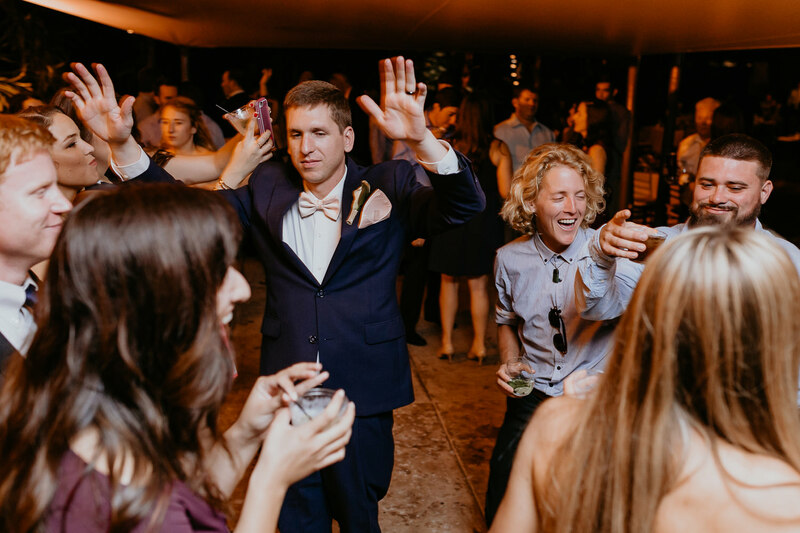 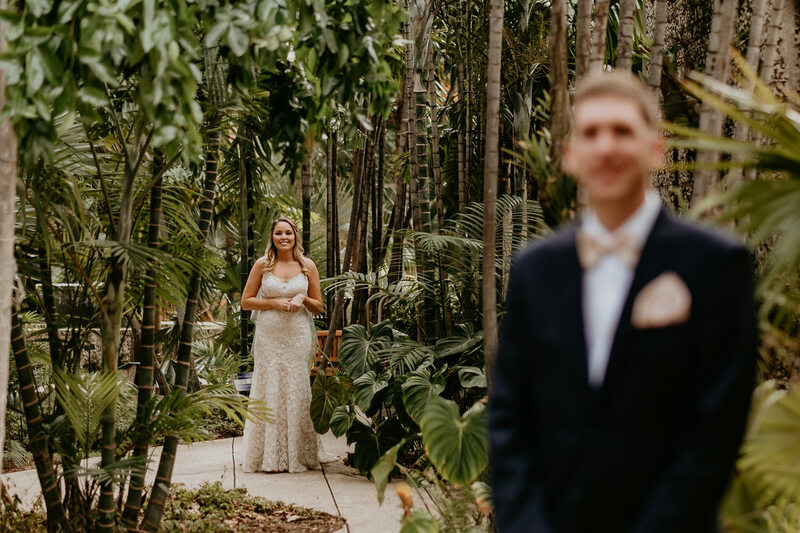 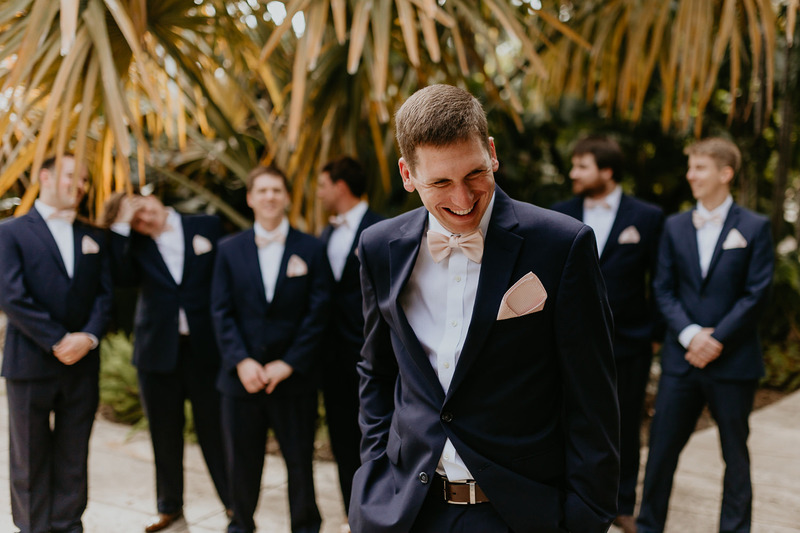 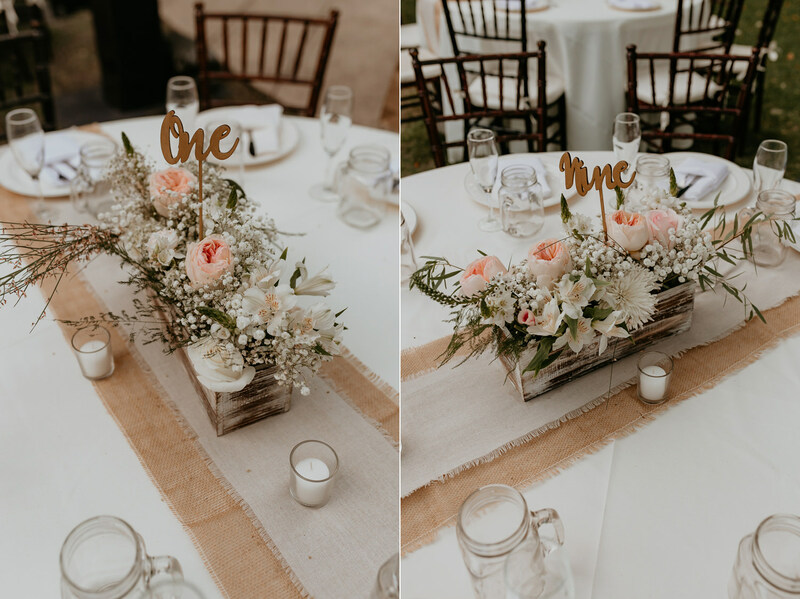 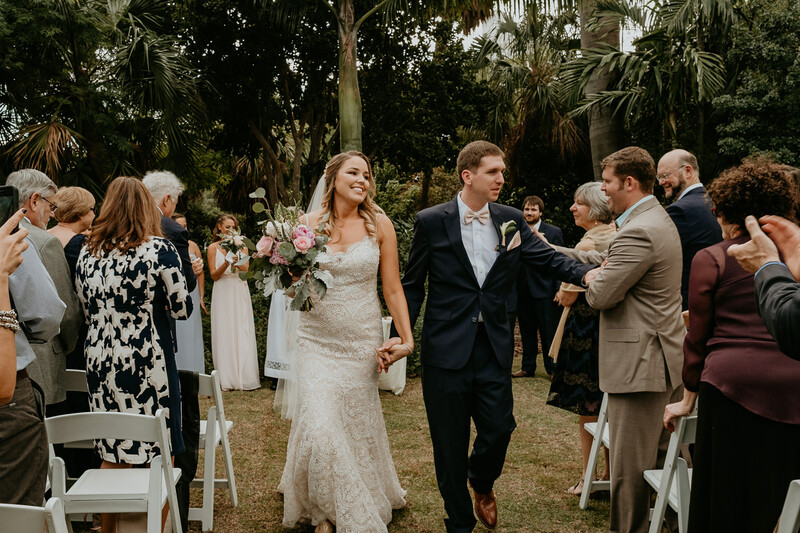 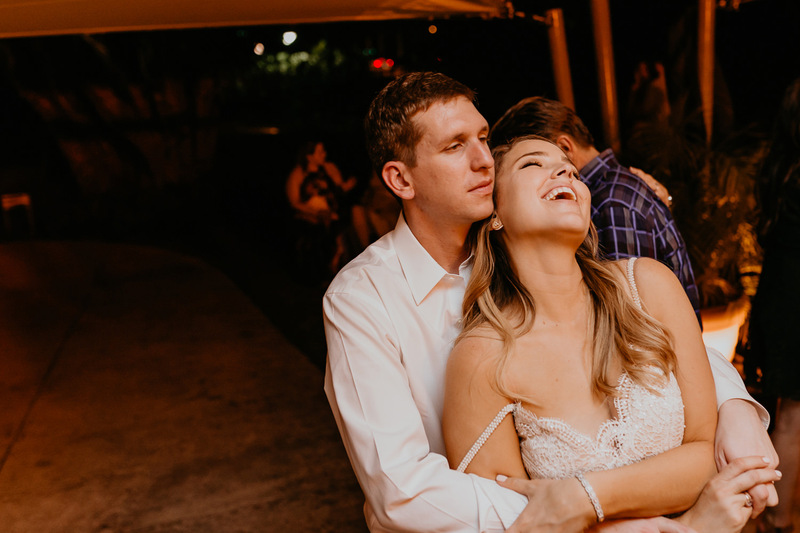 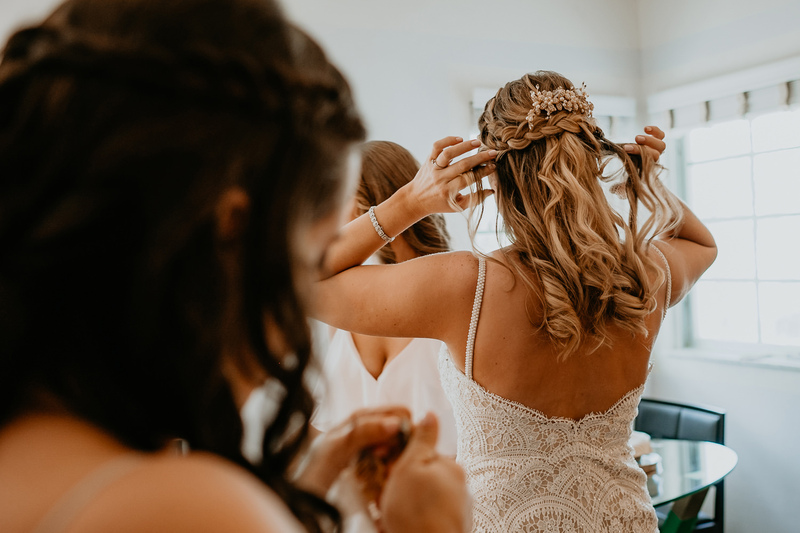 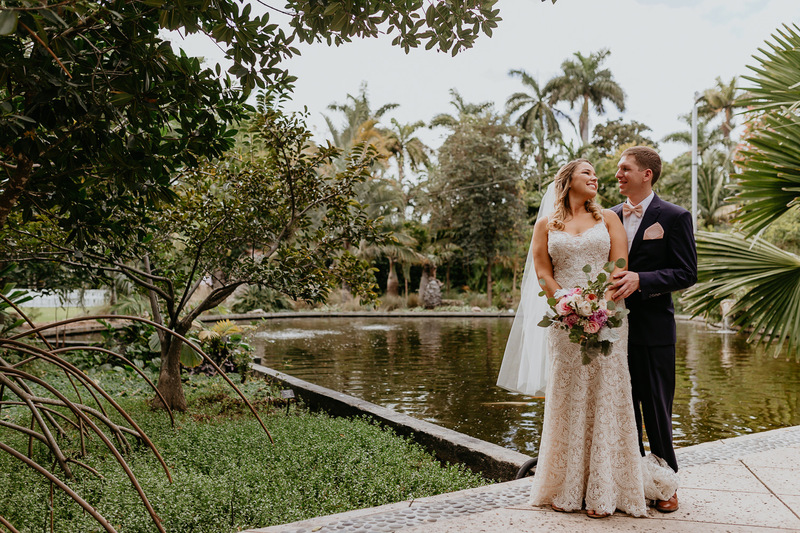 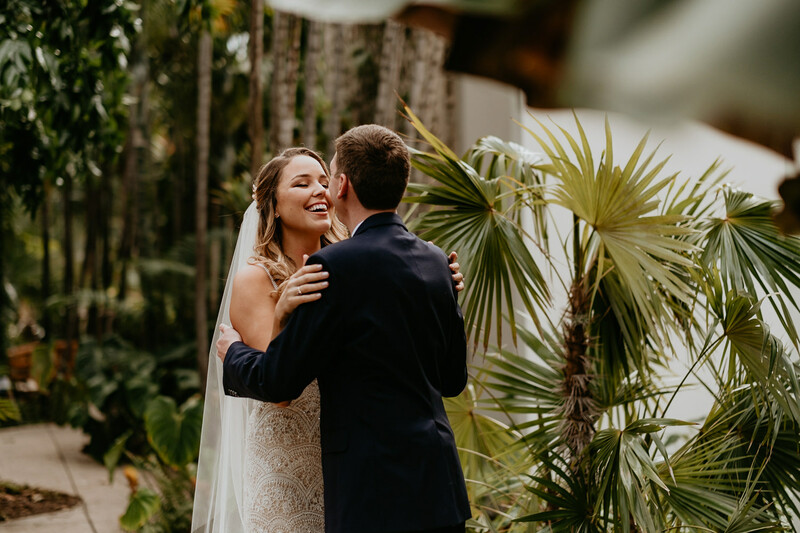 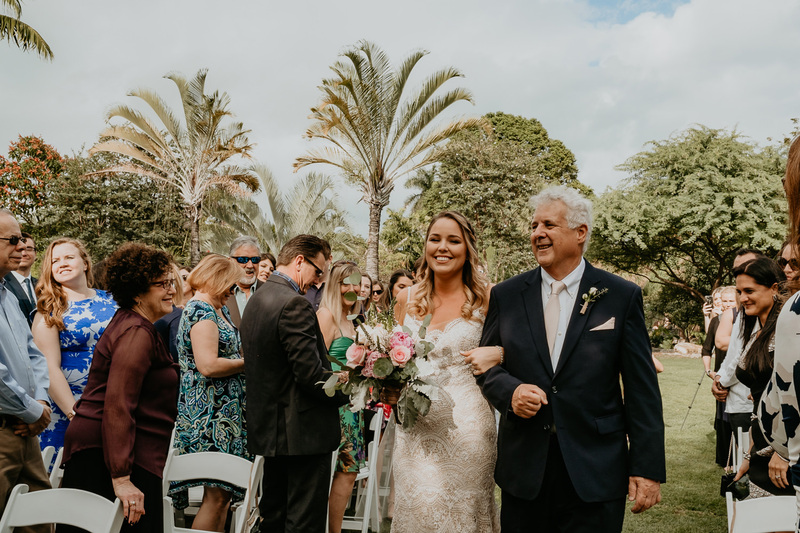 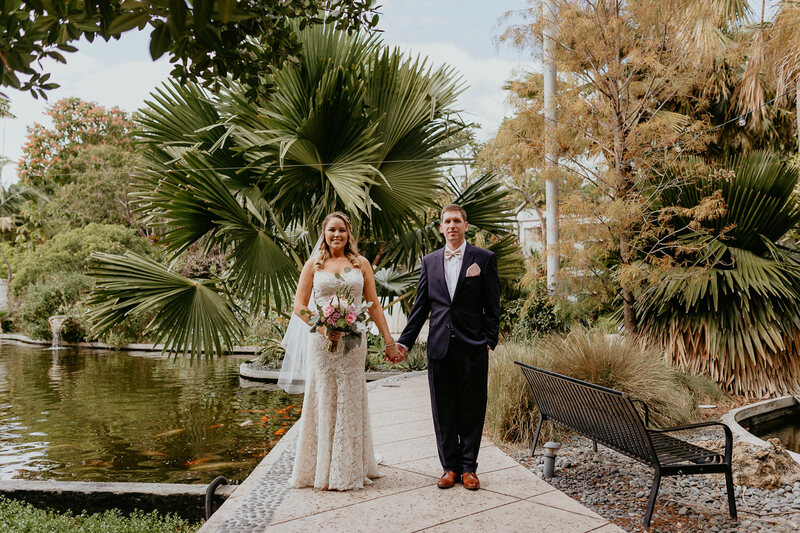 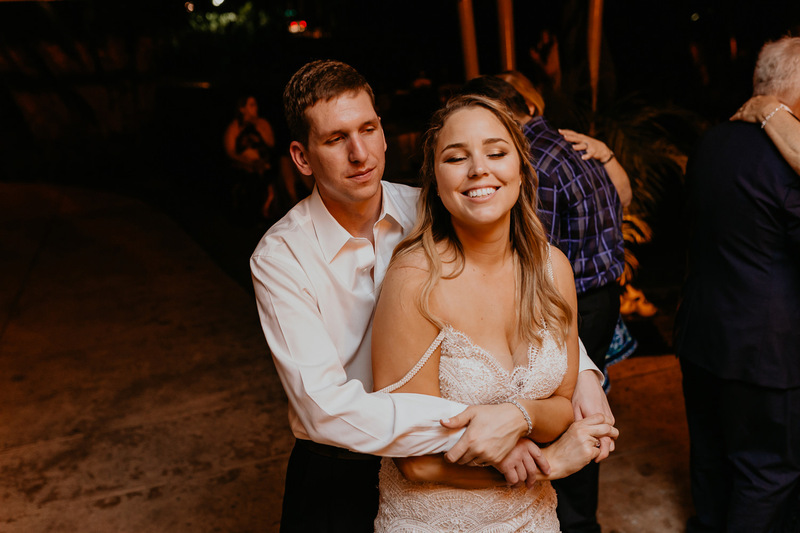 From there, everyone took a quick Uber ride over to the Miami Beach Botanical Garden where Chelsey and Alex were going to have their first look. 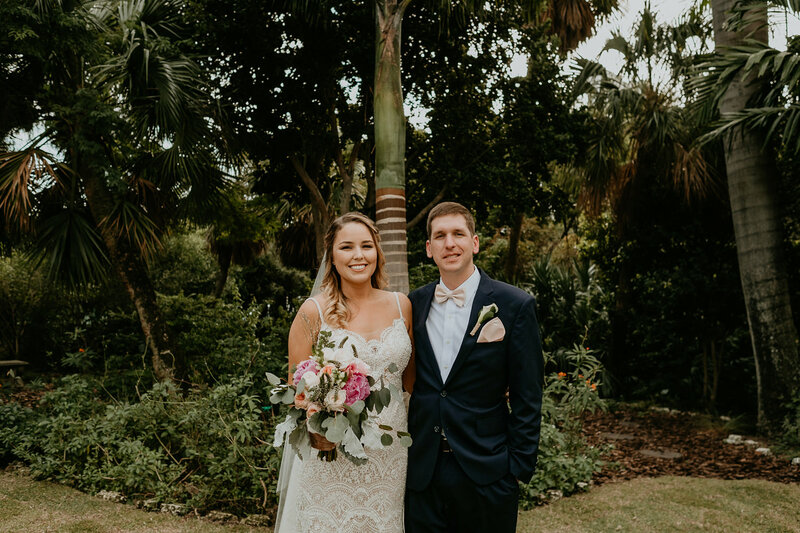 They chose to do a first-look because their ceremony was going to start close to sunset and we didn’t want to risk losing the natural light for pictures. 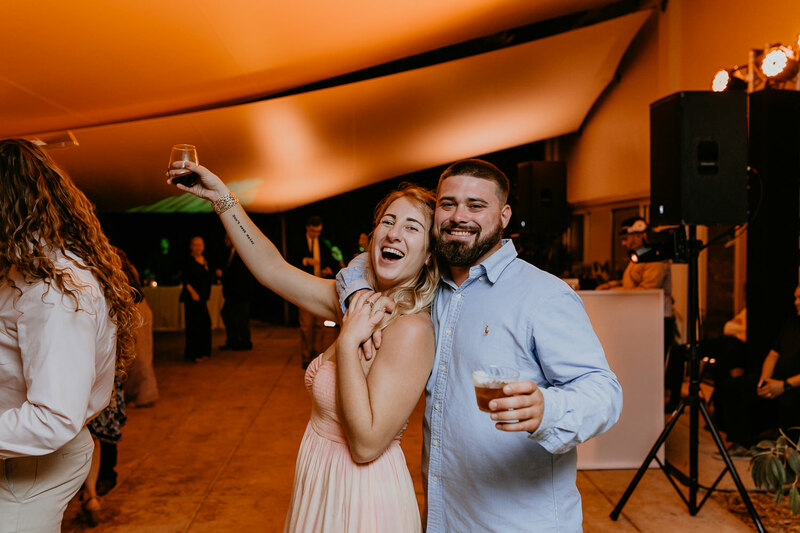 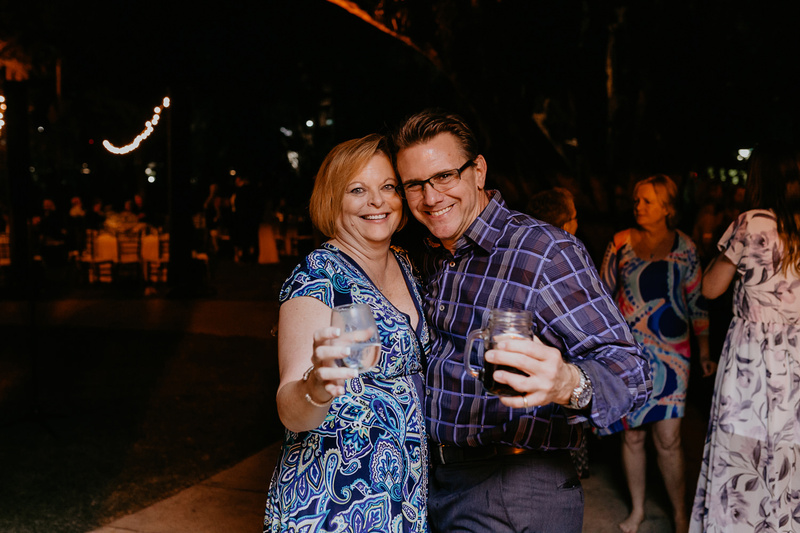 Also, they are a very chill couple and the thought of having to do their family pictures, bridal party pictures, and portraits, all during the cocktail hour sounded like wayyy too much work lol. 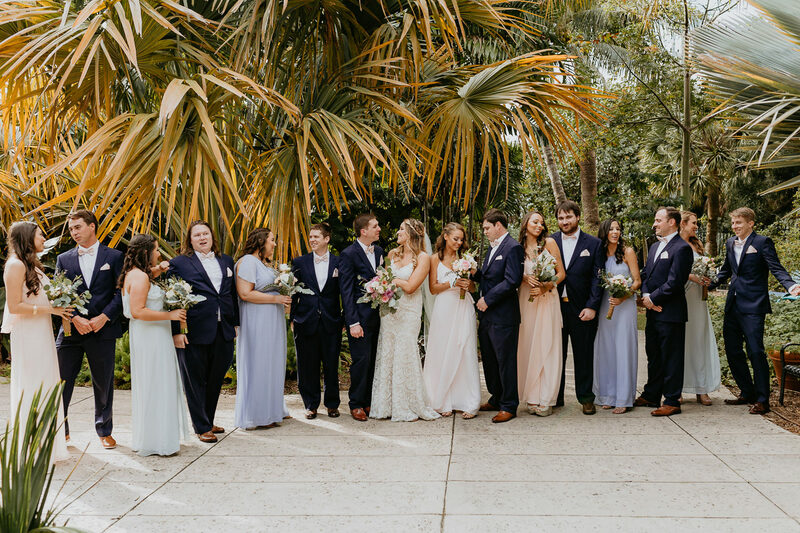 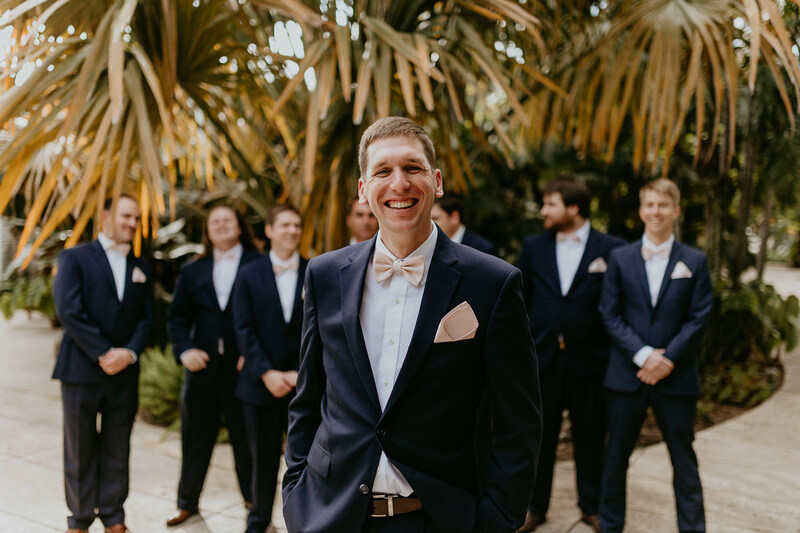 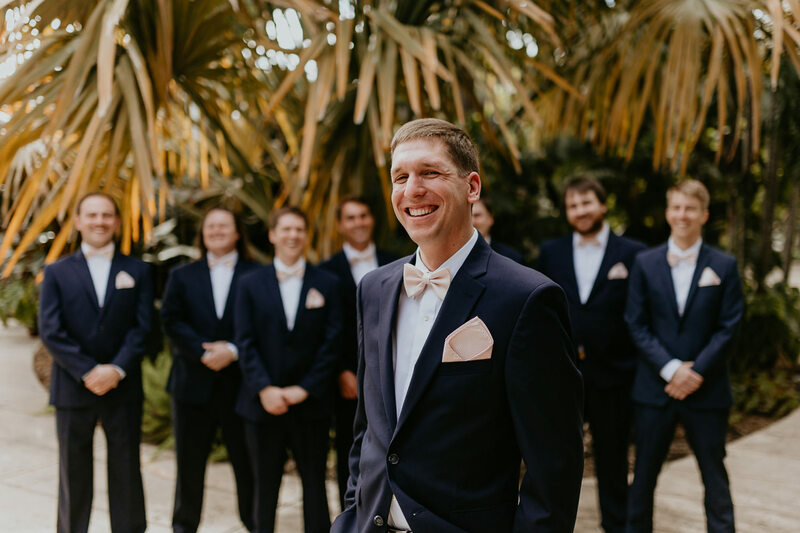 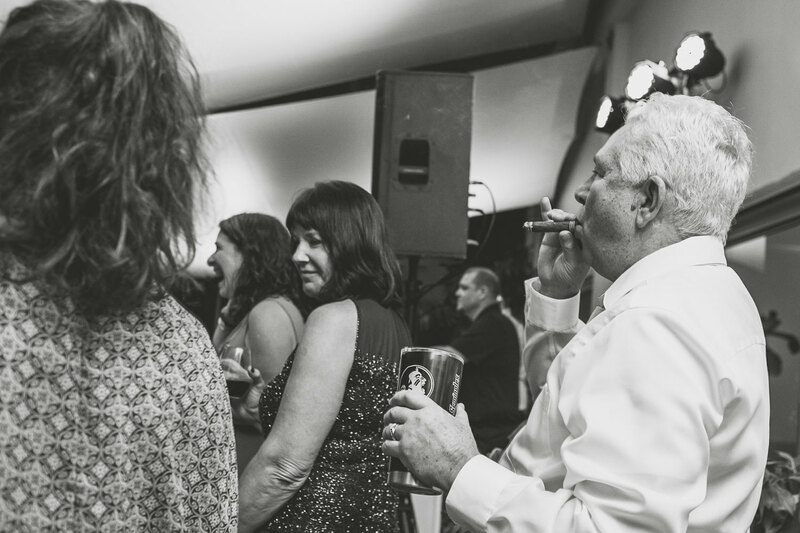 They wanted their wedding day to be as chill as they are, so they opted to do a first-look and, during the first look, we did their formal portraits and bridal party pictures. 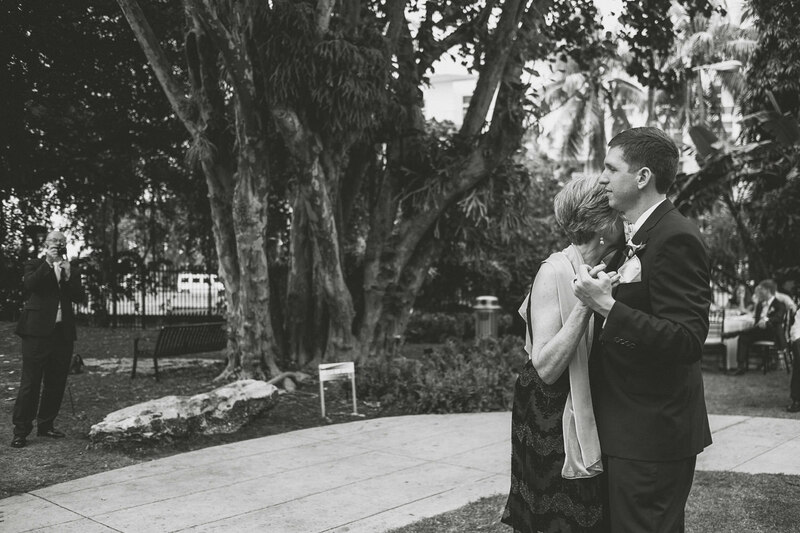 This way the only pictures left to do after the ceremony were family pictures and their intimate portraits. 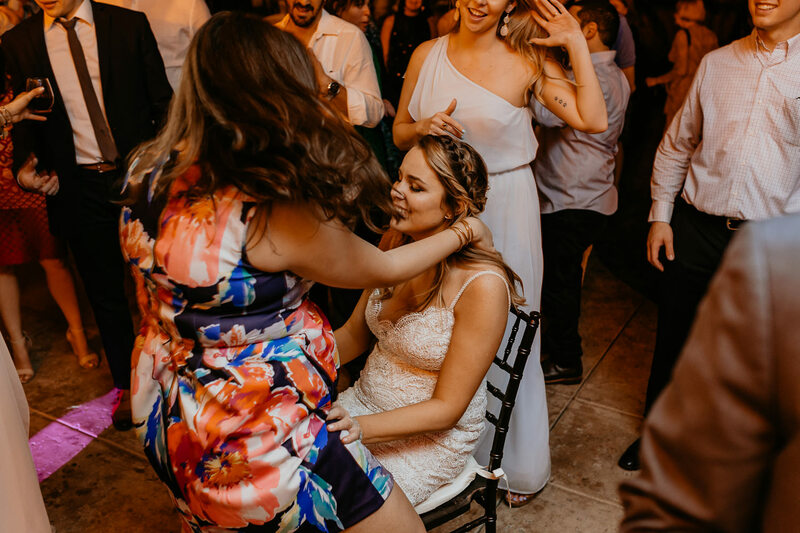 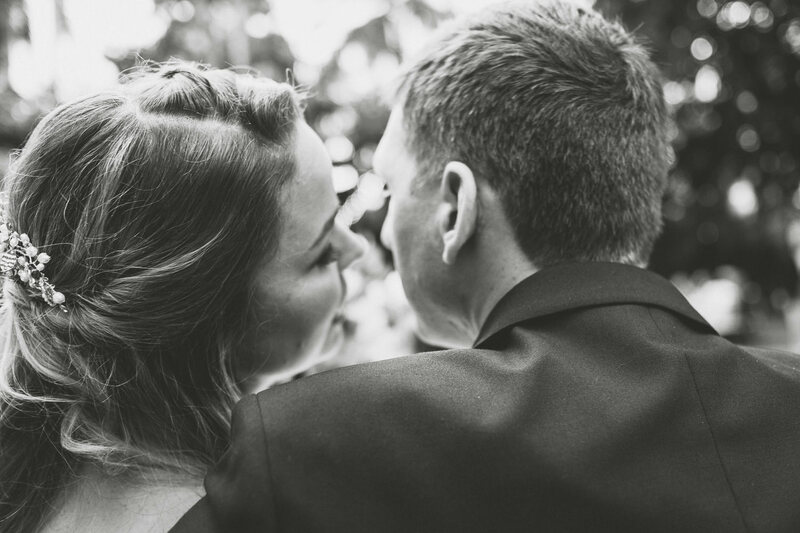 I don’t like to do intimate pictures before the ceremony just in case some makeup wears off on the groom’s jacket or the bride’s hair gets a little messed up while squeezing each other lol. 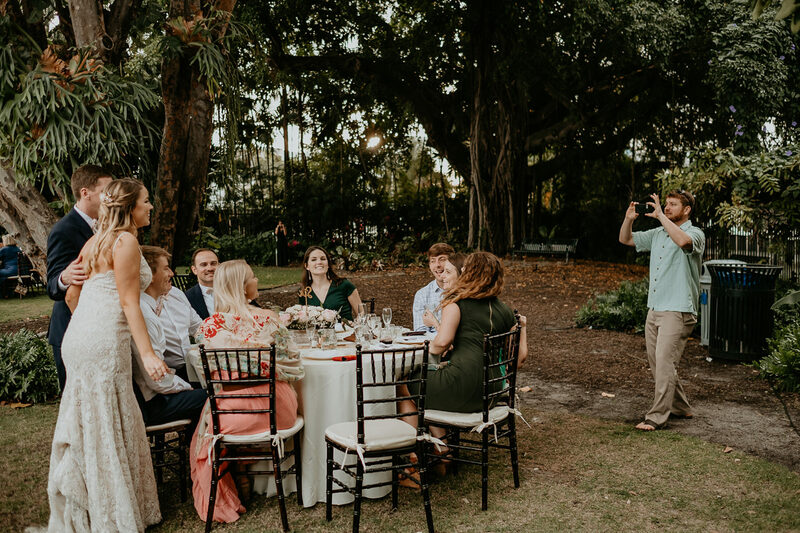 After the three of us wandered around the botanical garden taking cute portraits, the party was set to begin. 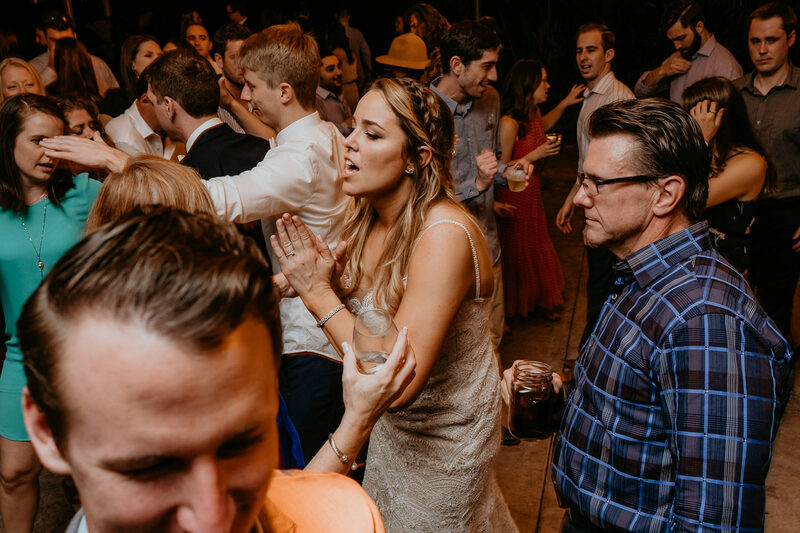 And what a party it was! 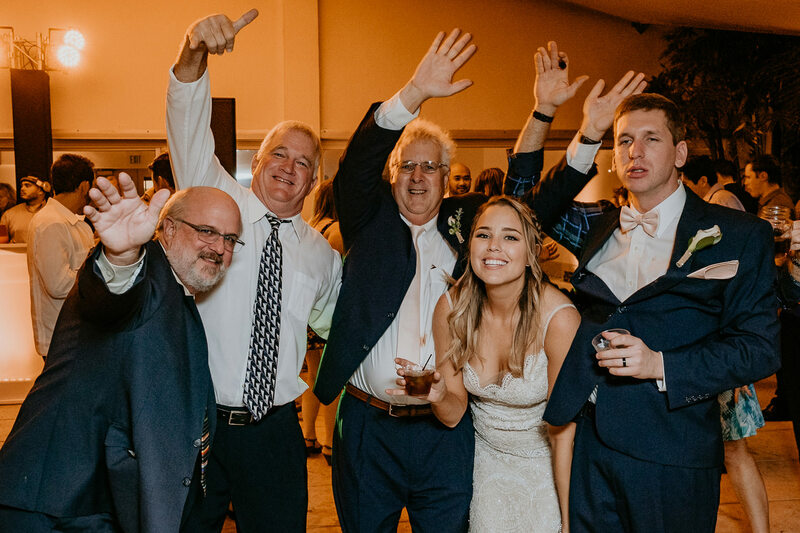 This reception consisted of FSU college buddies and Alex’s Army brothers, along with family members that were also down to have a good time. 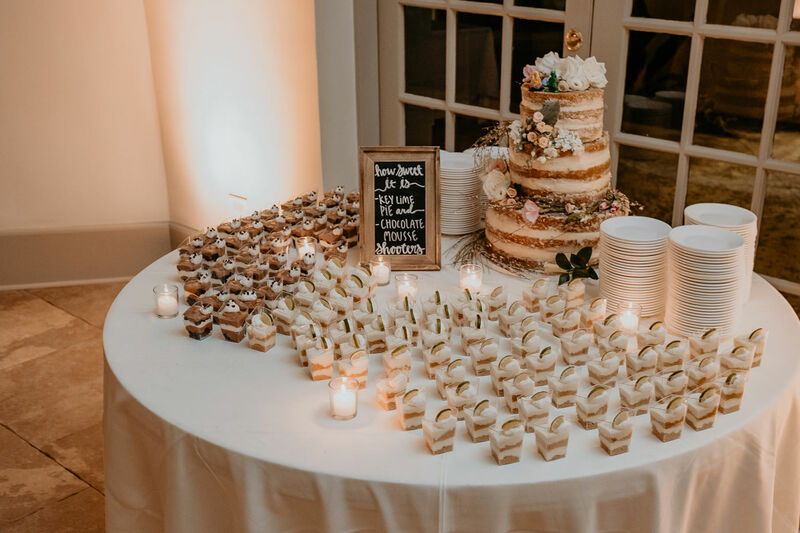 This turned into one LIT reception. 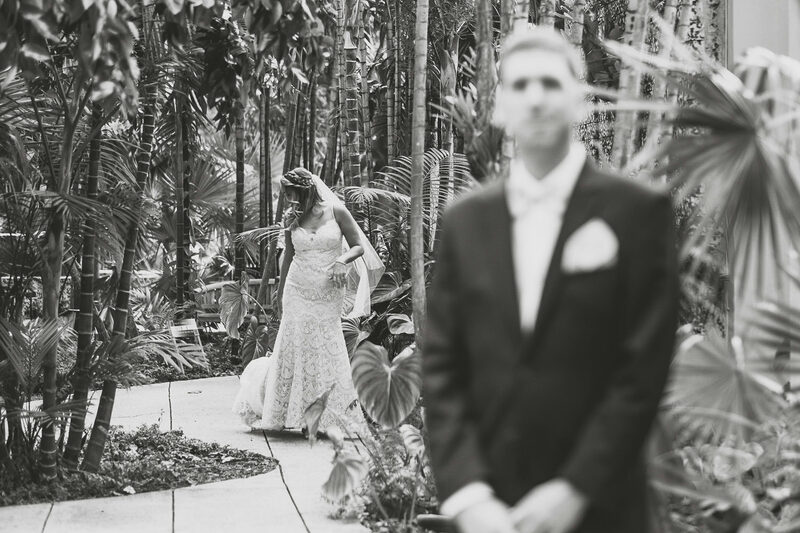 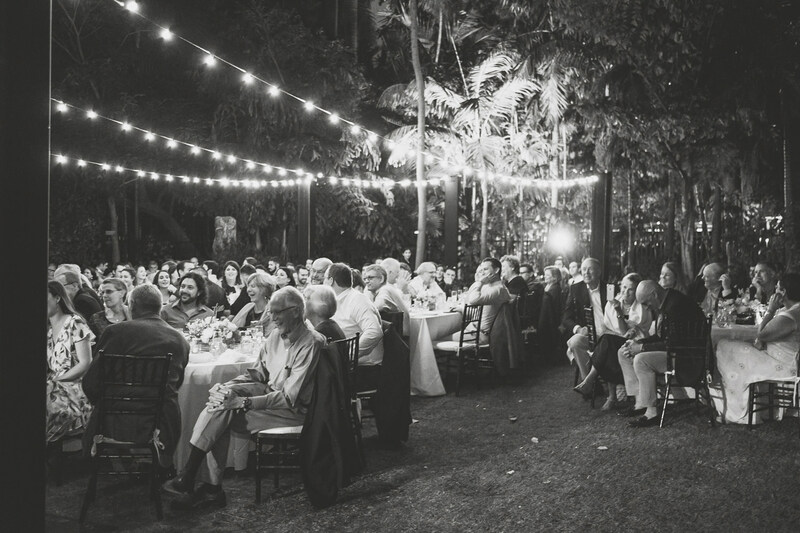 The Miami Beach Botanical Garden is one of my favorite venues in South Florida. 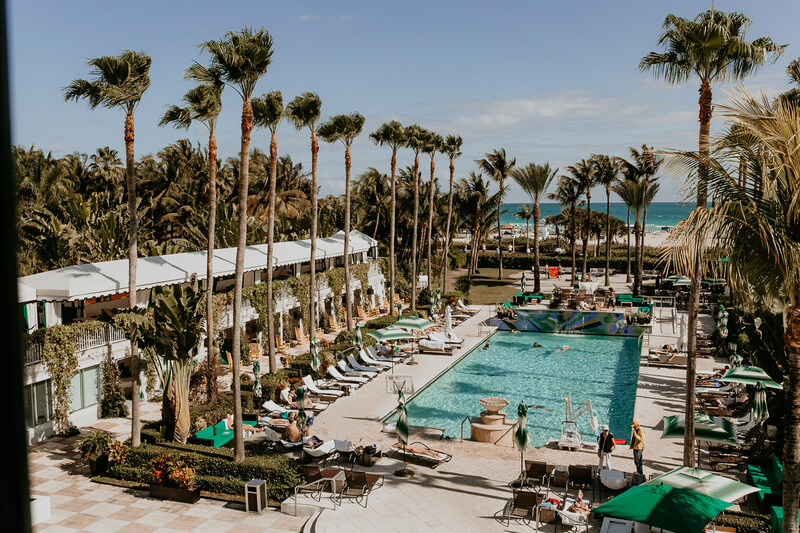 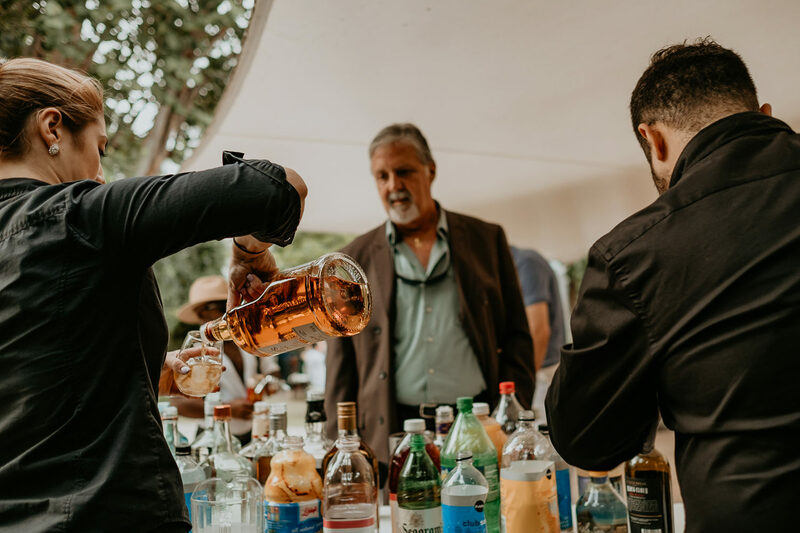 It’s close to the hotels in Miami Beach or South Beach, so not only is it easy to get to after getting ready, but also easy for guests that are traveling and staying nearby. 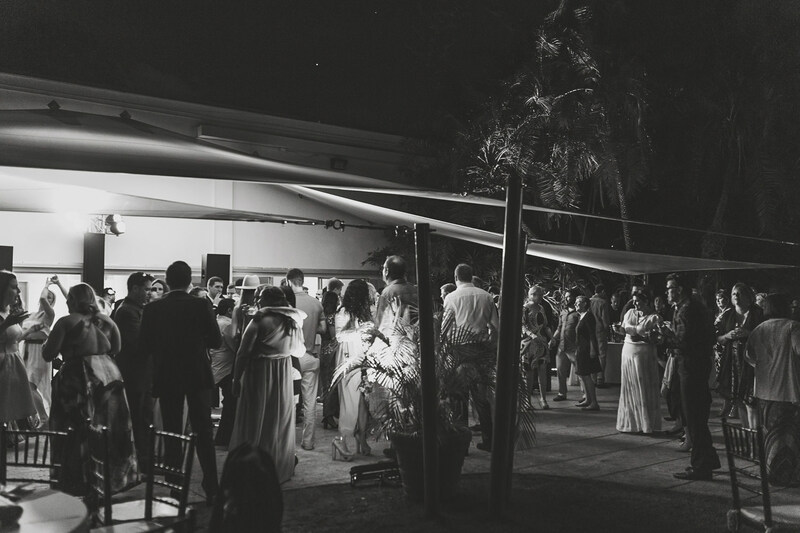 It has plenty of parking, a rare thing on the beach side of Miami. 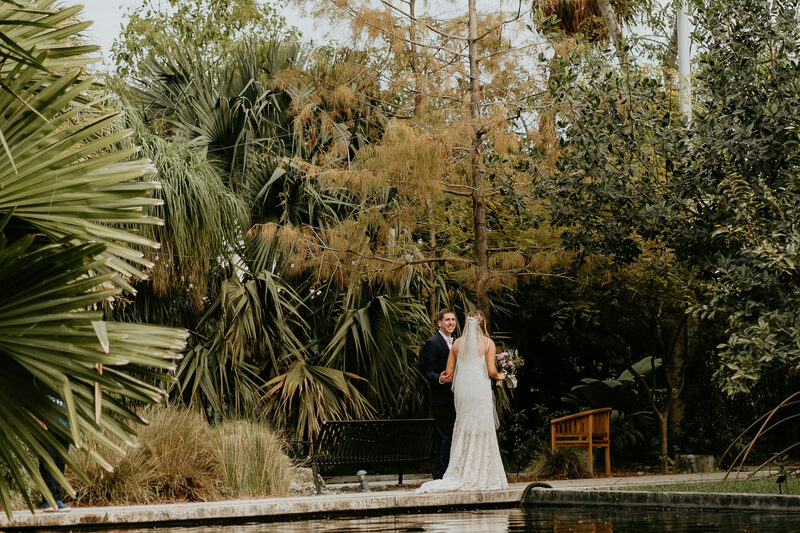 The Botanical Garden has both a gorgeous ceremony site and cocktail hour/dinner site. 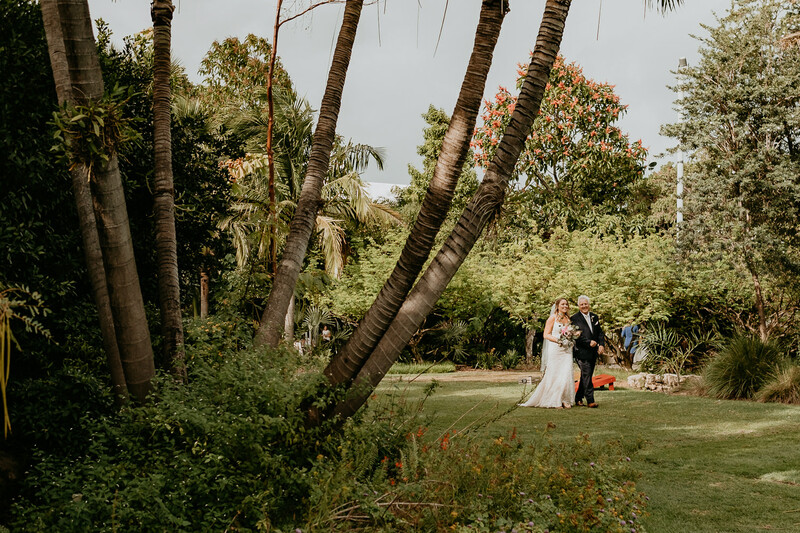 The entire place is covered in green with exotic plants and flowers, perfect for wedding pictures. 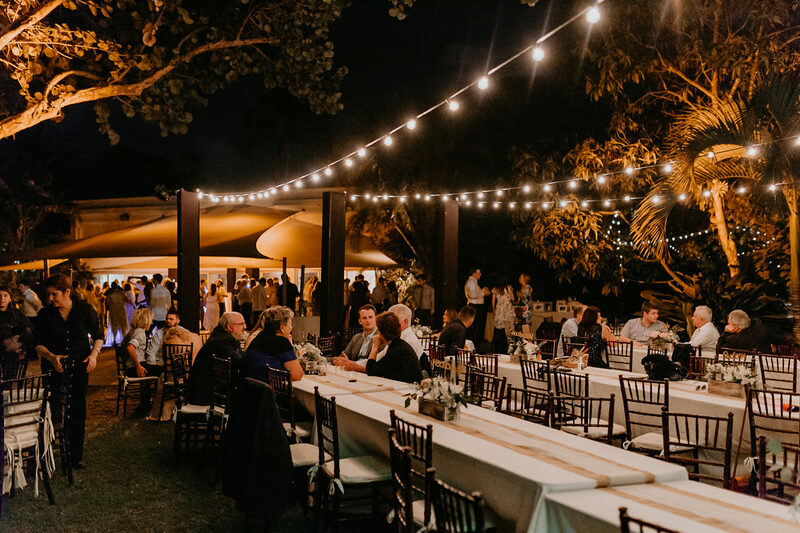 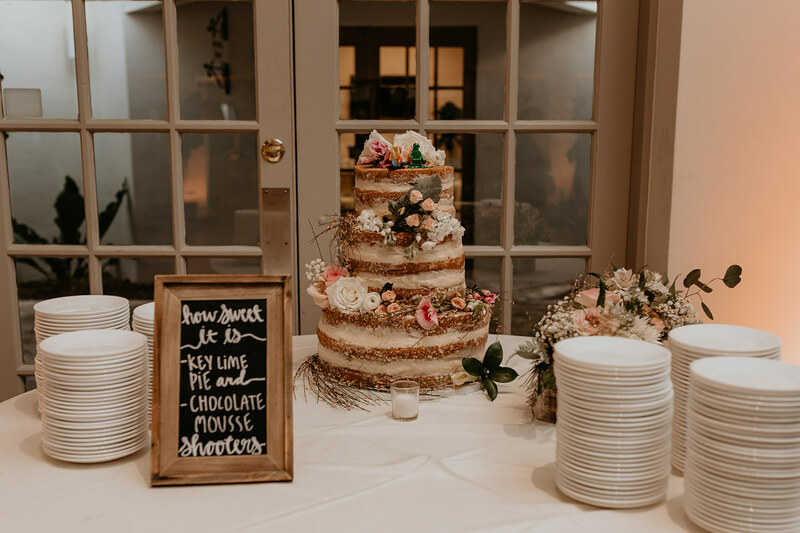 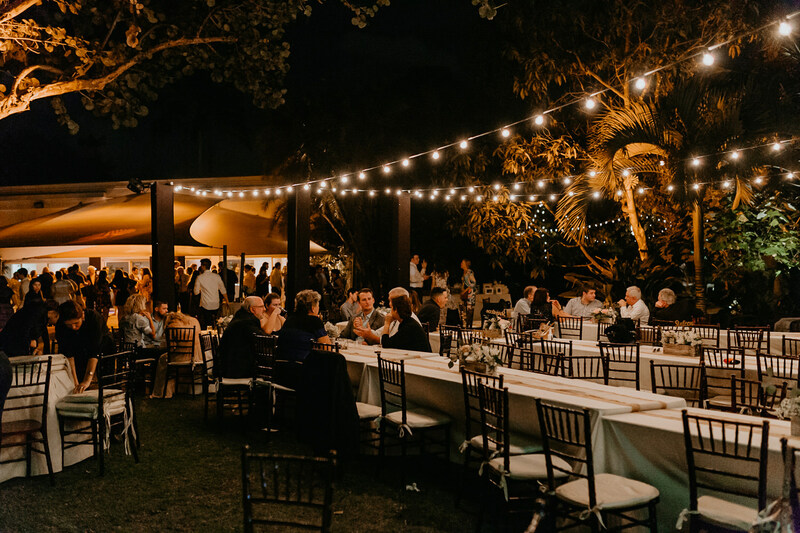 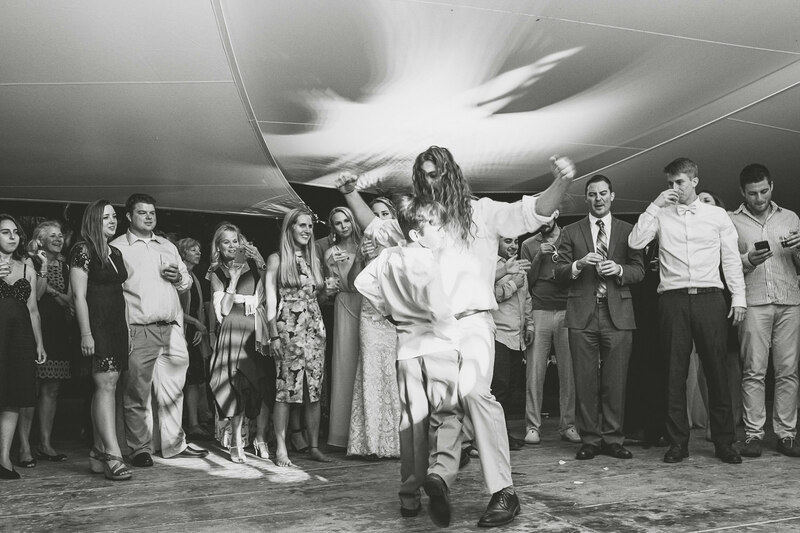 The receptions can be either outside under a tent with cement floor or inside in the reception hall, or both. 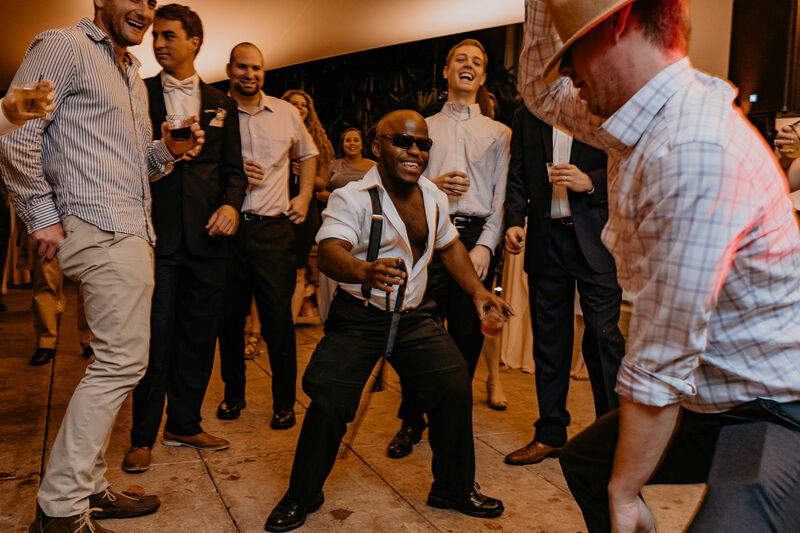 So if it happens to rain, the party can continue. 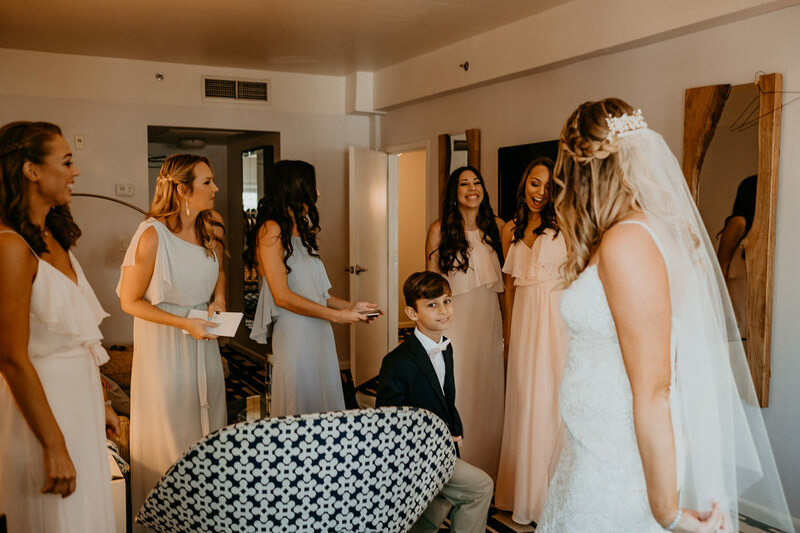 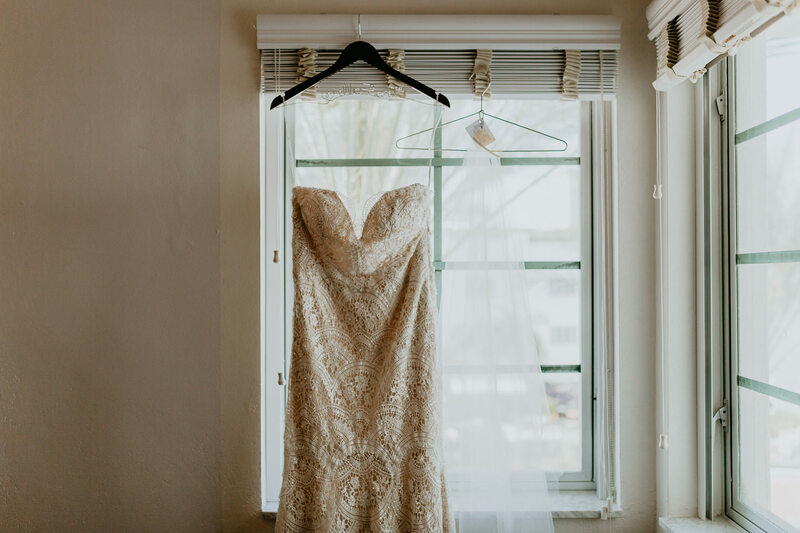 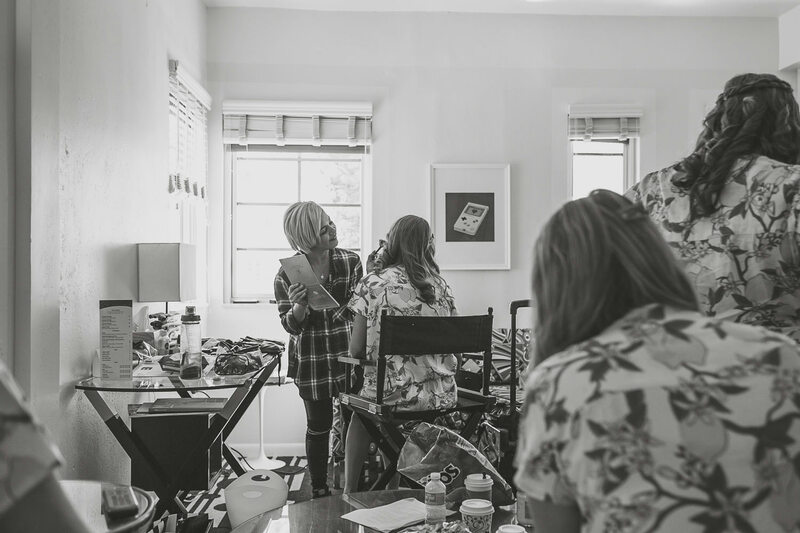 The bridal suite is very roomy and is tucked away from where the guest waiting area is, which allows for easy in-and-out for first-look pictures without being seen by guests. 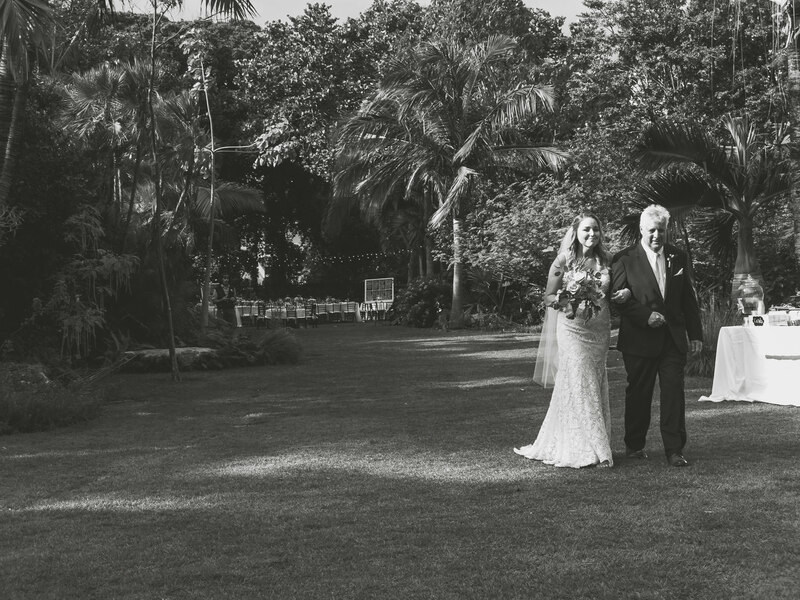 Overall, the entire property is gorgeous and photogenic. 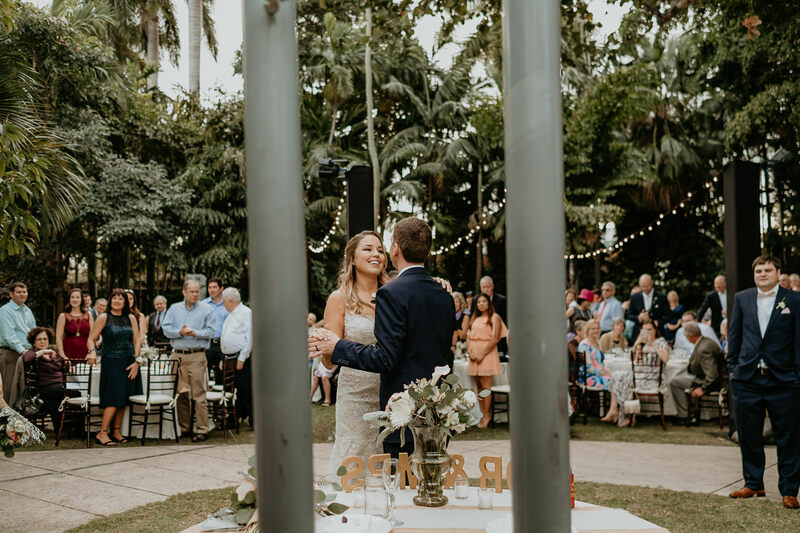 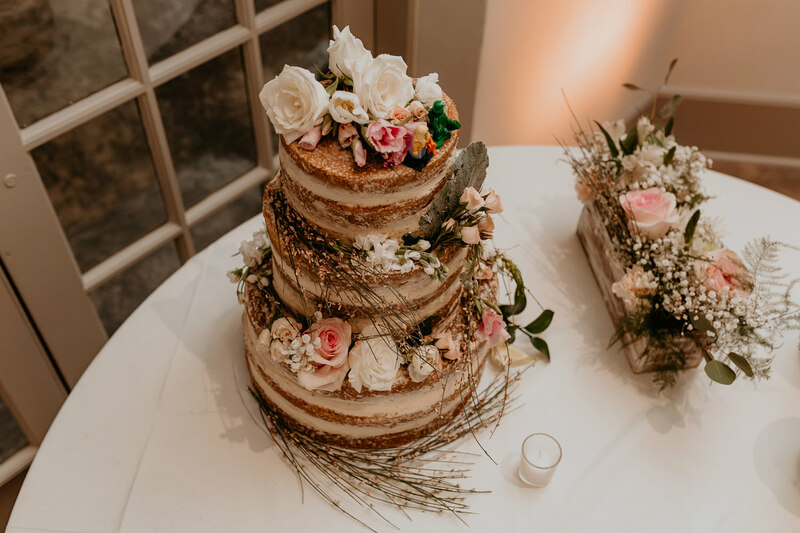 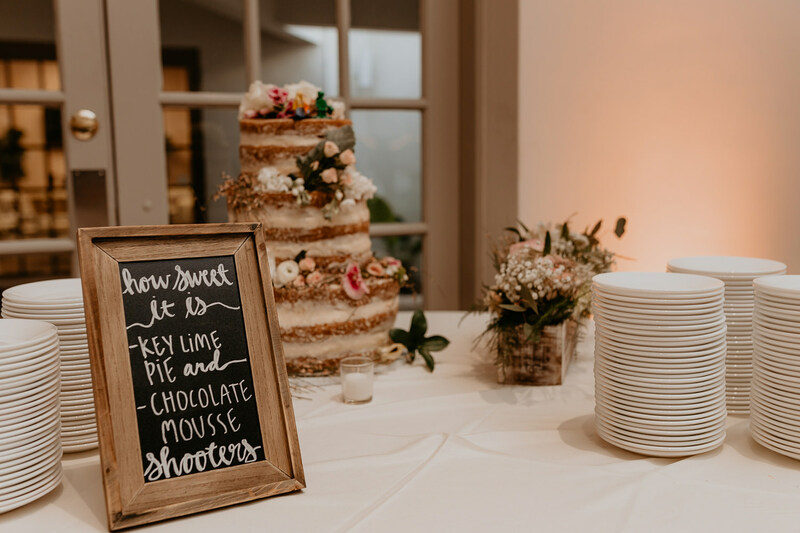 I could use every corner of this venue for pictures, from the greens to the walls, everything has character. 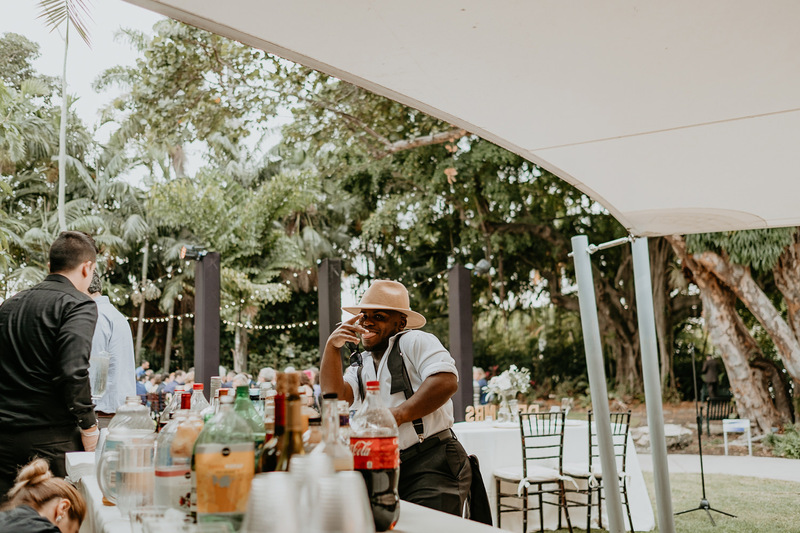 They close the space to the public at 5pm, so afterwards, the entire property is yours and, its not near a neighborhood which means no 10pm noise ordinace. 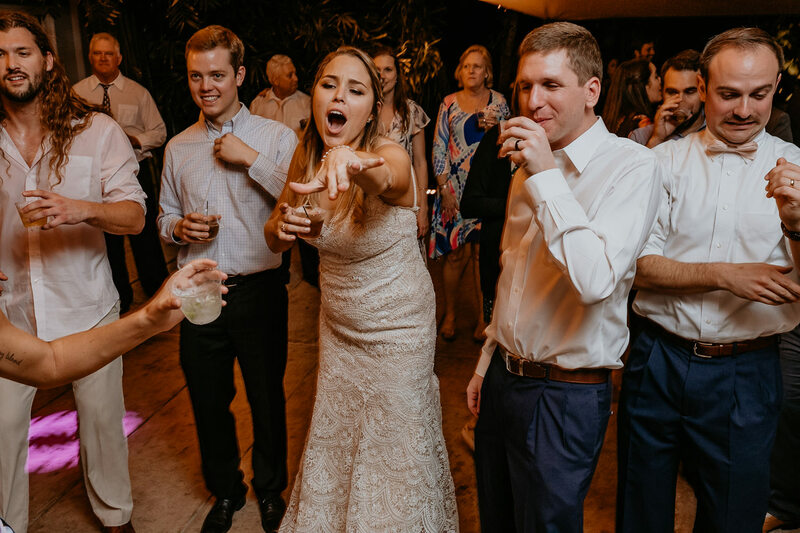 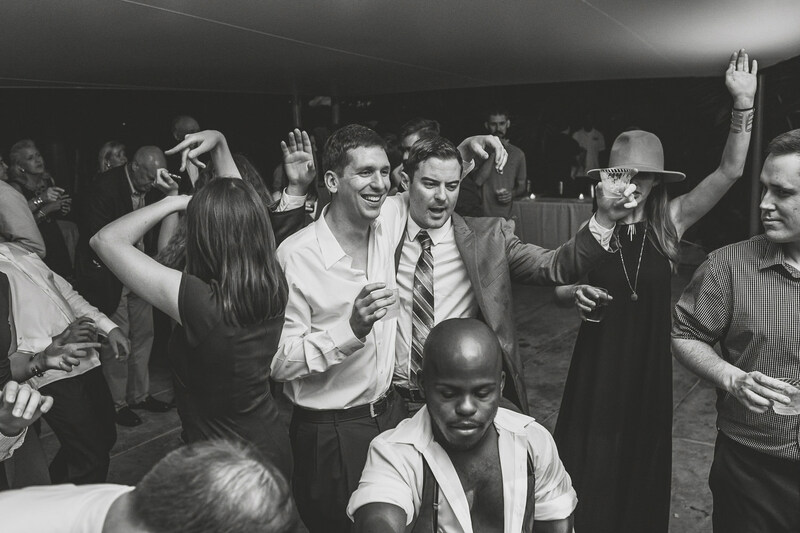 The party can go on all night! 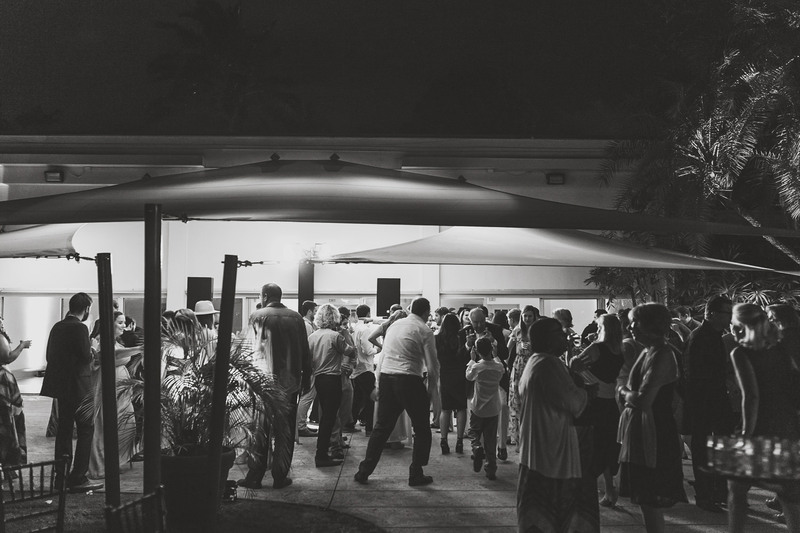 It’s truly one of my favorite venues in Miami and South Florida.